​Stylish, Arty, Cultural Escape in the middle of leafy Belgravia, hidden amongst embassies, mews and timeless courtyards, a mere 10 minutes’ walk from London’s leading landmarks including Buckingham Palace, the Royal Albert Hall and the Natural History Museum. The hotel and rooms are bathed in natural daylight , with bright interiors and quirky art adorning the walls. I liked the clever use of space, my room had a comfortable sofa, tucked away in a corner by the window overlooking the green square, behind a discreet curtain. 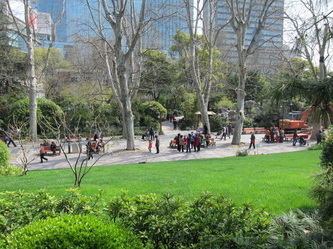 It offered a great view of the park opposite, adding space, light and seating, making the room feel like a junior suite. 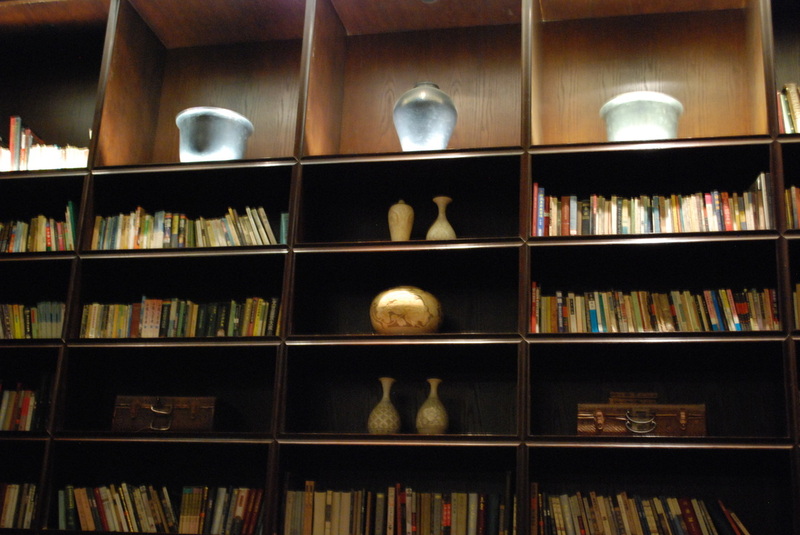 Again making maximum use of space, the first floor contains a library and bar with private booths to one side. 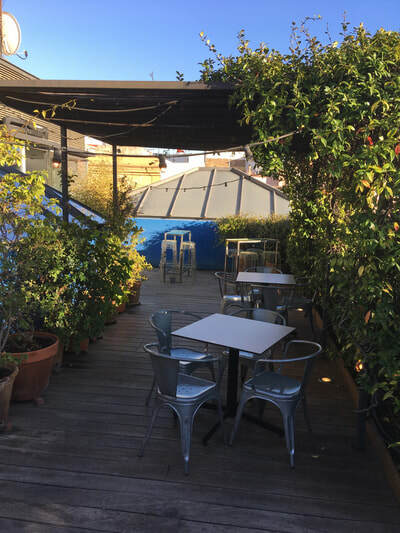 A flight of stairs leads to an enclosed terrace offering heaters and blankets in winter and a retractable roof provides an open air setting for summer. The main restaurant, Il Pampero, oozes Italian glamour with a mix of Northern and Southern flavours whilst maintaining a very relaxed atmosphere. A crowd gathers early evening at its bar to enjoy head barman, Zi’s unique cocktails. Upon receiving the menu, I am presented with the age-old question; do I go for the pasta or the Meat/Fish dishes? I settle for the Ossobuco Cannelloni, whilst the star fish dish (Black Cod) received rave reviews. I also tried the Smoked Hazelnut Mousse, which arrived in its own wooden box and dispatching a whole array of smoky flavours, gloriously accompanied with a peaty whiskey. 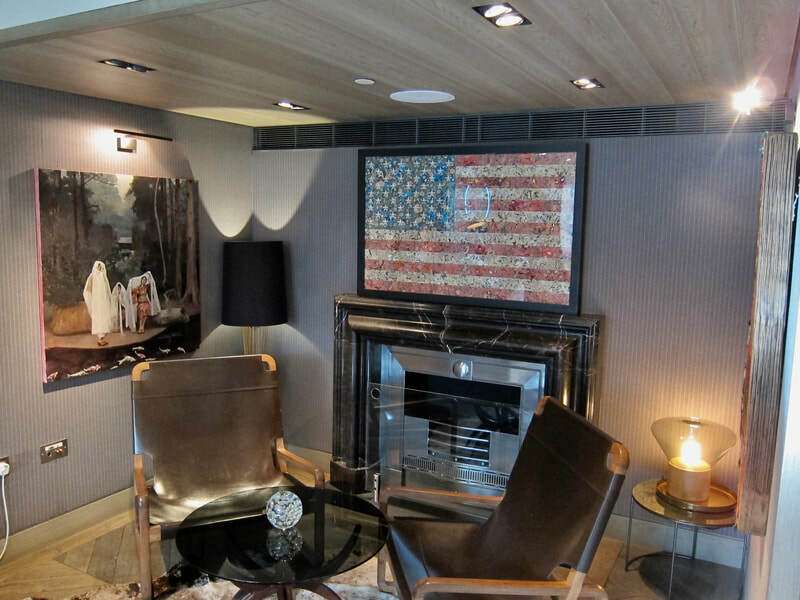 The Hari offers rooms upwards from a 250 sq ft King Superior all the way to a 750 sq ft penthouse. The hotel is pet friendly, large dogs by prior arrangement. It’s all very relaxed and sets the pace for boutique hotels this side of Hyde Park. ​First trip back to Dublin for many a year, home of many adventures for a couple of decades as I followed the Irish soccer team around Europe with many trips to Dublin as a consequence, even holding a season ticket at Lansdowne Road for a decade. Now back for my 60th Birthday treat with Ros, I am pleased to say the City centre remains very much as I remember it, though the port area has been built up since my day. 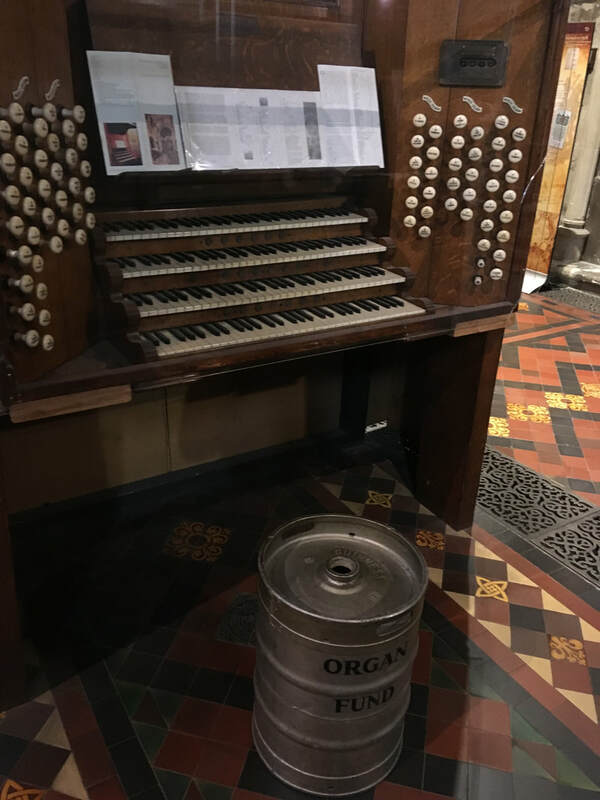 The currency has changed, the beer choice certainly improved as the City embraces craft ale, though very little cask ale, the nation has still to discover ale does not need to be iced. 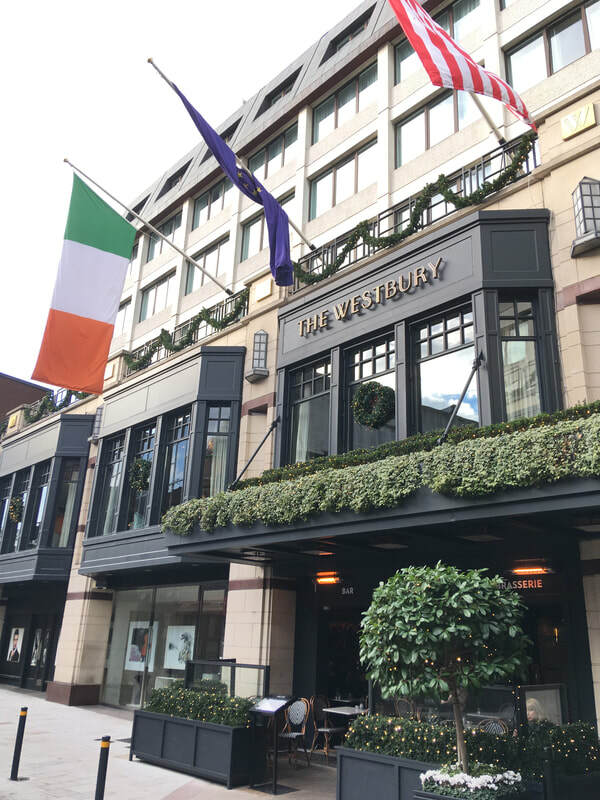 We stayed at The Westbury, owned by the Doyle group, just off Grafton Street so very much in the thick of the action. 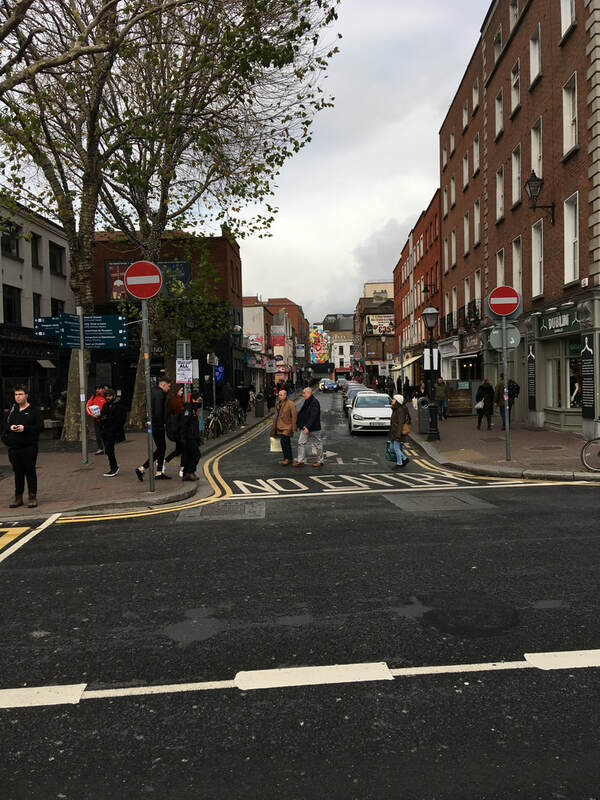 Turn left to Temple Bar, the main tourist strip, and priced accordingly. It’s fantasy Ireland though not at all unpleasant. Right to St Stephens Green, the Central Park of Dublin City. The site of The Westbury used to be a nunnery, then a car park before the new building sprung to life in 1984. 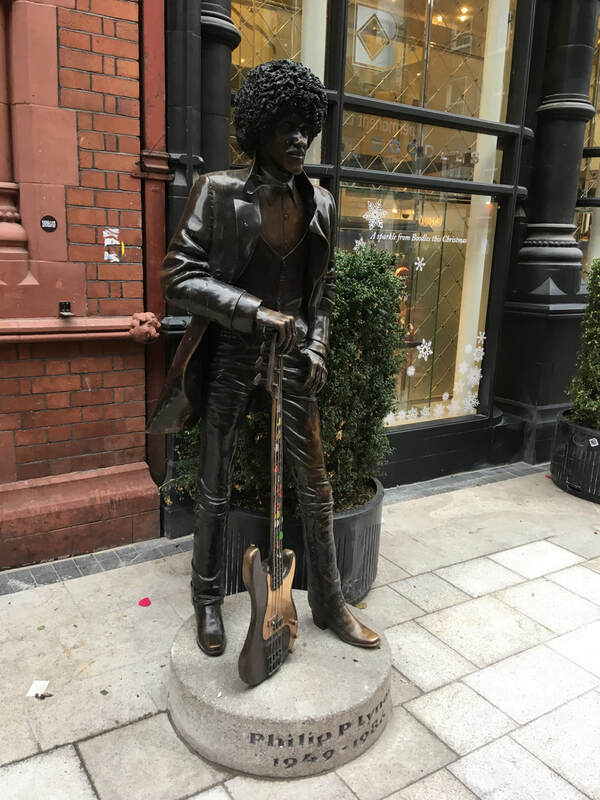 It is a popular venue with tourists and locals alike, serving afternoon tea in the gallery, a bistro (Balfes) and the main fine dining room (Wilde) serving a take on modern Irish cuisine, and also offers the full Irish breakfast and very tasty it was too without being overfilling. The Sidecar, the Westbury’s main bar, was still packed with lively locals at 01.00am, which in a City with so many bars says a lot. We stayed in a Classic King front facing room, next grades up are the De Luxe rooms, capacity three guests, then upwards to a Studio Suite and onto the Luxury Suites. Interconnecting rooms can be arranged for larger groups, and special amenities for younger guests such as tipi tents in a room. Very family friendly. You may be amused that I was bought immediately to task for having a new Irish passport and English accent. (Third version actually I will have you know) Concierge Eddie has been with the hotel since it opened, and offers a well informed view of the City. It felt odd playing a tourist in a town where I used to hang out with a great group of locals pre internet days, so now of course we have lost contact. In those days I was rarely in the town centre, other than the Palace Bar after matches. (this Dub classic is still very much in business, just off Grafton Street and heading down into Temple Bar) The one concession I made to tourism, feeling under the weather with a touch of the flu, was to visit St Patricks Cathedral which is currently hosting a moving exhibition to the Irish lads who fought in the First World War under the British flag, and the difficult return home they had in post revolution Ireland. The side effects causing my own Grandmother to leave the City for Scotland. I did however manage to stay in contact with one of the lads who joined us in the legendary Cobblestones bar the following night. Located outside the main tourist drag in the newly revamped Smithfield Market area. A traditional music bar with players most days, sadly the sound did not carry through to the back of the bar where we snagged the last remaining table. Connections from the airport are pretty good with a direct bus running from St Stephens Green every 20 minutes in the daytime. Amazingly the DART the local rail service has still failed to find its way. Dublin airport though has really improved, with good spacious areas for eating and drinking, overlooking the runway, and plenty of seating throughout. 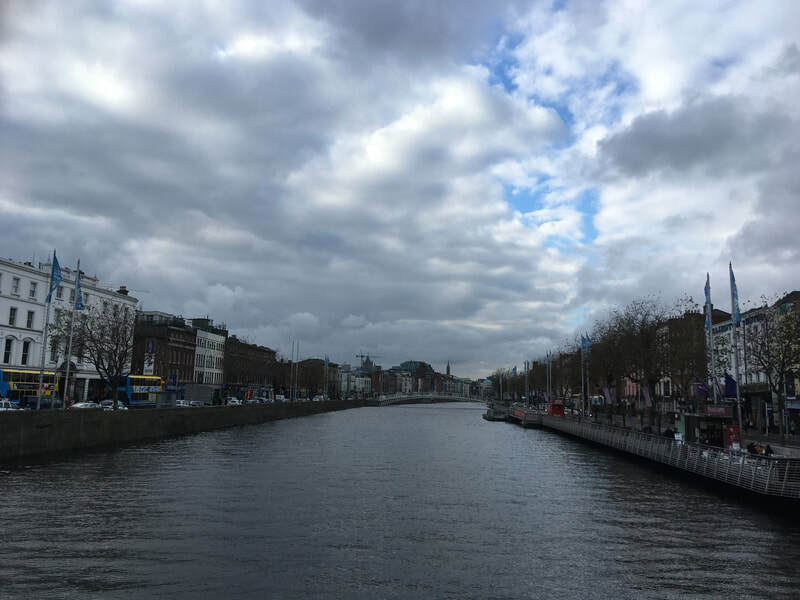 Dublin is still a top, really fun destination, though do wander outside Temple bar for the real local craic. The visit was way to short, and I hope to return soon, and perhaps head back into the countryside. Oh, I’ve always wanted to go to Barcelona! There is a feast of things to do and see and Dining is incredibly cheap for Europe these days, whether it’s a full meal or Tapas from any bar. Add beer from Eur 2.00 a glass or a good measure of high quality wine for the same price. A town with a remarkable history, musical scene, and dotted with some unique architecture largely courtesy of Antoni Gaudí. Add FC Barcelona and the vast Nou Camp stadium a weekend is never long enough. 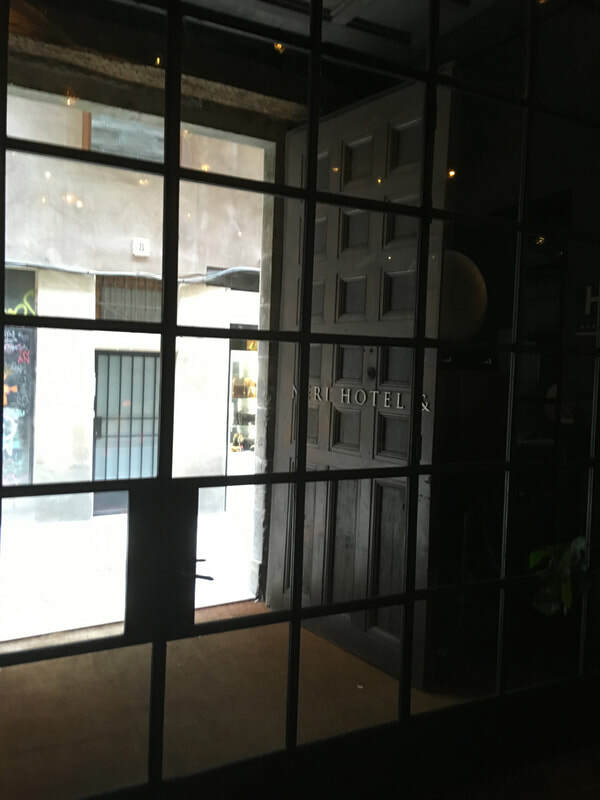 We stayed at the lovely Hotel Neri in the very heart of the old town (Barri Gòtic), indeed so central taxis can’t reach it and you’re dropped off in the nearby Placa de Sant Jaume, a two minute walk. (Look for directions to the Plaça de Sant Felip Neri, which overlooks the hotel.) 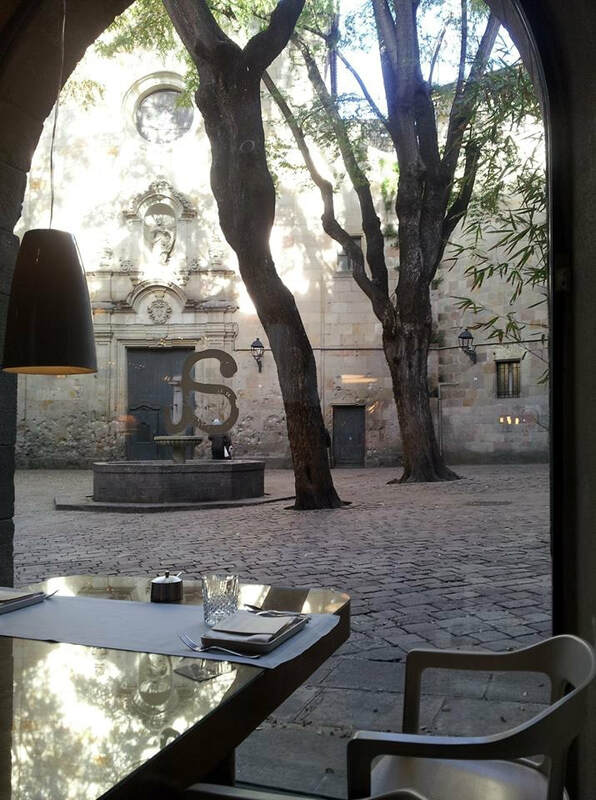 The building is believed to date from the 12th Century, when it is believed it was a convent, but has been owned by the family Figueras since the 18th and is still family owned to this day. It forms one part of the Plaça de Sant Felip, sharing the square with a local school and church where Gaudi had his workshop. Look out for the bullet holes from the Spanish Civil War! This historical retreat offers just 22 spacious Rooms in 5 categories and a private bar/terrace on the top of the house. Stylish and artistic, even the carpets are handmade in India and designed by the Figueras family. 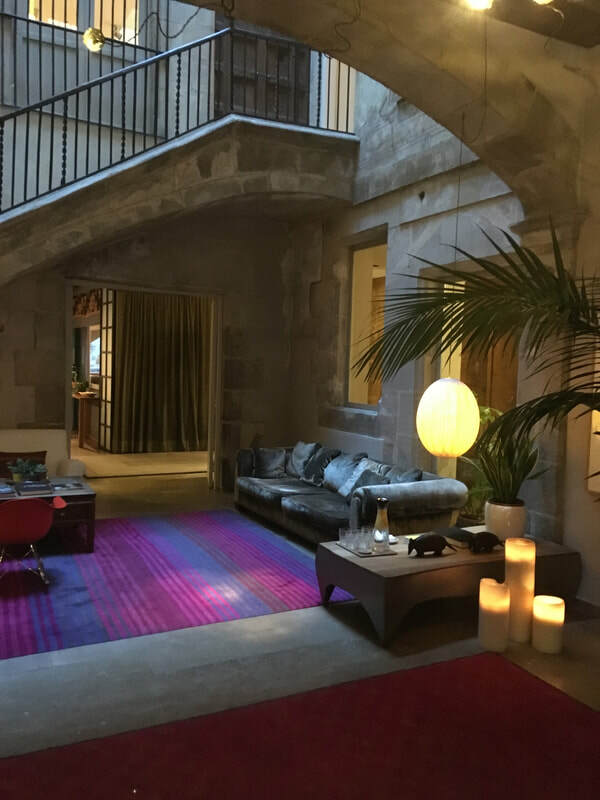 For clients who wish to experience the real Barcelona, it’s the only American Express Fine Hotel in the gothic quarter, the others being located on main shopping streets and thus lacking the unique local atmosphere this hotel offers in abundance. Stretching out in the morning, windows open, it feels more like your own private home than being in a central hotel. Sitting down in the lobby watching the tourists gazing through the locked front entrance, trying to gain access for a sneaky photo, you do feel very privileged to call the house home, if only for a couple of days. Dining is in the quirky ‘a Restaurant’ offering a selection of unique tapas as appetisers before moving on to the imaginative mains offerings chef Alain Guiard brings to the table. The bar is contained in the same area and spills out in the evening into the square (now the children have hopefully gone home). Also of note are the six Casa Neri Apartments just over the road. They offer a more expansive living space for longer stays, which can be also be hired as one complete unit for family gatherings, with the meeting room convertible to a children's play room. It does of course lack the traditional five star trappings of pool/gym/spa etc, but more than makes up for this in its own unique style – just think uber-luxurious private home. The real Barcelona if you will. Just step outside for other very local drinking and dining options for other nights, and of course a real shop till you drop experience in the unique antique shops and galleries that abound in this district. In summery if you want your stay to really feel authentic, and you enjoy a smaller boutique property, this is the choice in town. ​Ros and I had the pleasure of being invited up to Brown’s Hotel last weekend, which is situated in the heart of Mayfair, just a short stroll from Green Park and Buckingham Palace. A quick enquiry in the morning advised us our room was already available for occupation. This was 10.30am, before we had even packed to leave home - impressive. We arrived to a genuinely warm welcome; the order of the day at Brown’s is seamless, top-notch hospitality without ostentation. We were shown to our deluxe room on the fifth and highest floor and we soon settled to the unusual occupation of actually relaxing in London. The accommodation was generously spacious whilst the room was light, airy and very comfortable. Brown’s is very thoughtful of those guests less familiar with the city, providing complimentary loan of a useful in-your-pocket assistant for the duration of your stay. It offers maps, guides and ideas to help you negotiate London whilst enabling local calls. Our room’s huge widescreen TV offered more satellite stations than I have ever seen in a hotel before; it could have kept a TV nerd in bed all day. Somehow we managed to successfully skip the rain showers and dived in and out of the craziness of Piccadilly Circus, which takes on a new dimension when you are only ten minutes from the homely oasis of calm that is Brown’s. First stop in the evening was Brasserie Zedel, a Parisian style Brasserie, which extends downstairs into a charming art deco cabaret venue and cocktail bar. Cocktails were strong and service friendly, though a 2 for 1 would have been nice at this early hour. Hello – London: not happening! I thought the French effect was very near the real thing, and the whole experience worth an evening in itself. One for the future, perhaps. Onwards to Xu, a Taiwanese restaurant making quite a name for itself and featured in the top 45 dishes to eat in London this year, according to one food critic. I liked travelling from Paris to Taiwan in less than ten minutes. It’s worth noting that booking is essential. Starters works along the line of shared tapas with an oriental twist. Our favourites were the yummy peanut lotus chips. On to mains, and I had the shou pa chicken (from the must-do list), a spicy and peppery bowl of flavour, accompanied by (you heard it here) lard rice. Add the lard to the stew and the flavour is immediately much richer. Also of note were soft and fruity tea cocktails and the post meal tea\whiskey matching experience. 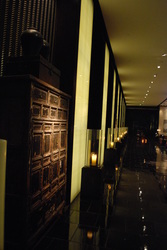 A short stroll back to Brown’s for drinks in the very relaxed atmosphere of the Donovan Bar, to enjoy a chilled late night vibe, enhanced by some Buddha Bar style tunes lulling us back into a sense of tranquillity. 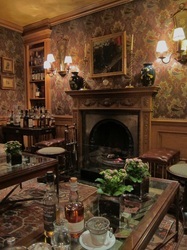 We soon sank into the leather armchairs and I enjoyed a nip of my favourite rum from the thoughtfully chosen drinks menu. Once again, we were made to feel much more like valued guests of our attentive hosts, rather than mere customers – a perfect end to the evening. Breakfast at Brown’s was a veritable feast, with everything from the full English, through kedgeree, noodle dishes, all the way to an Irish bacon sandwich. All the restaurant staff were good-humoured, helpful and attentive, even with the young guests a few tables along so absorbed in their electronic games that communication must have been a challenge! Our second night was a visit to the small but historic Duchess Theatre in the West End for ‘The Play that Went Wrong’ by the Mischief theatre group. This is slapstick in its purest form, based around a murder mystery that I can only describe as Agatha Christie meets Fawlty Towers. Honestly, just go and see these people. Back to Brown’s and another warm, fuzzy wind-down in the Donovan Bar. We were in no hurry to leave on Sunday and we certainly didn’t feel hurried. We thoroughly enjoyed our stay at this warm, welcoming and delightful hotel. afternoon plan was to drive around the Panorama Route, but it really takes a full day to appreciate the Blyde River Canyon, the third biggest in the world. The weather was damp and misty so we headed up to the Lisbon Falls and stopped in the touristy Graskop for coffee. Indeed this part of Mpumalanga was very green and lush, rather like Sussex on a rainy day. Lisbon Falls is a good viewpoint on the way to the canyon but I was already tiring after a busy weekend in Cape Town. Thus we arrived early at Plumbago Guest Lodge, which is conveniently situated just outside Hazyview. A small family-owned property, it has just three suites, but makes a great base for touring with the Kruger Park boundary just 70 kms away. Some indeed treat it as a base for the park itself. (Some travellers also prefer to locate here, as this region is malaria free.) Special mention to the food, lovingly prepared by Ilsa. A drifty eclectic music collection enhanced the vibe. A couple of hours rest to gawp at the view and then assemble for the 16.00 briefing, tea and cakes before the main event. I am given a place with two other couples (we stay together for the duration of our visit) and spend the early evening in pursuit of game with driver and tracker. Cocktails are served in the field at sundown, before a night safari en route back to the lodge. Lebombo looks majestic at night from the park, as you approach looking forward to dinner. For my first night, a braai (that’s BBQ to you and me) had been prepared, and I can assure you wildebeest is very nice. Go beef with a slightly gamier flavour. A chance to meet fellow travellers, and it’s a young professional crowd in the main. Reveille 5am the next morning, but not until I have had a chance to see the sunrise from my patio. In fact it’s a 5am meet for coffee and fresh baked buns, kitchen open of course. Off then for a full four hours around the concession, and rumours of cheetah are circulating, but sadly they remain elusive. This part of Kruger is dry, almost desert dry. It’s not good weather for hippopotamus; some culling has recently been required, with the meat being distributed to the local villages. They can’t survive in this climate without deep water holes, and a dead hippo in a water hole can cause a serious health issue for other wildlife. We meet a pack of wild dogs. These are a rare sighting; they are highly nomadic and can race up to 70kms overnight across the continent. Elephant and giraffe are plentiful; one elephant sees us off aggressively. A stop for coffee and a snack before returning for the full breakfast works. The rest of the day is at leisure, allowing time for a visit to the spa, pool, or just take shelter in the hottest part of the day whilst temperatures climbed to 34C. Before long it is the 4pm meet and off for another excursion into the wilderness. I enjoyed the company of Maurice over dinner as we discussed the charitable arm of Singita. I had already declined the 5am call the next morning, settling instead for a relaxing evening at the bar and enjoying the all-inclusive offerings and the great company of the staff. 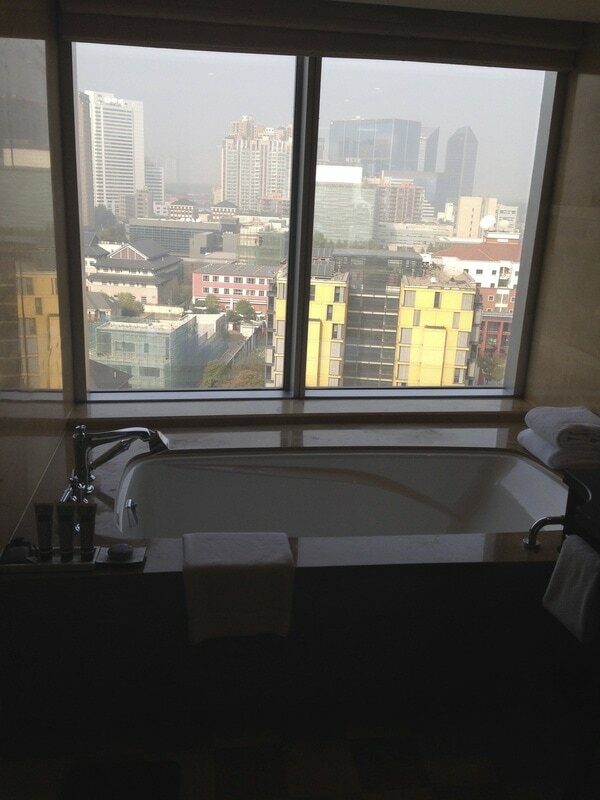 Next morning a slow pack up, further enjoyment of the endless views from my suite and a tangle with the outside shower. It was all too brief - I would recommend a three night stay and not going for every game drive but also just taking time to enjoy the unique surroundings. Onwards then towards Ebony in Sabi Sand, with Mandala firmly back in charge. A three hour road journey back watching the landscape change from desert back into tropical forest on the other side of the park. Encounters with a tornado springing out the arid landscape and a family of elephants including a new borne calf enhanced my thinking about taking the land transfer, which also avoids any difficulty with baggage capacity restrictions on these smaller flights. Again another 5am start, though after the full-on last couple of days I was missing my bed. Soon back into the swing, we saw rhino for the first time and enjoyed the views of the park stretching back into the distance. Breakfast was prepared at Ebony’s sister lodge Boulders (breakfast pizza - yes!!) which also took advantage of the riverside views. The rooms here are designed around a rocky/cave theme, very different from Ebony, whose style I preferred. For the first time we did have some visitors in the form of a couple of baboons, who tried to join the breakfast table only to be firmly chased away. A final visit to the well-stocked and reasonably priced souvenir shop before the sad run back to Nelspruit, the airport and a farewell to Mandala. A big thanks to the Singita team, whose back office was equally efficient, for giving one of the best travel experiences ever. Wonderful memories. 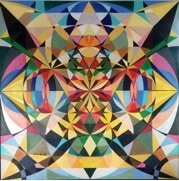 Access the full portfolio of all of Singitas lodges and products here. ​A little stretched, putting it mildly, having flown in from Shanghai via London (see China with Imperial Tours report) , and after a most uncomfortable trip on BA from Heathrow in economy. Leg room space seems to be being effectively culled, and for most of the journey my legs were in the gangway, leaving me with muscle ache in the back of my legs on arrival. Note to self, only fly premium if at all possible. Still, my first hotel was the 12 Apostles so things improved rapidly on arrival. The airport transfer took around 50 minutes, with the driver providing a snack tray and playing the role of a very effective tour guide, explaining each of the areas we were transiting through. I enjoyed an ocean view room for two nights in this very relaxed hotel, situated just south of Camps Bay and directly in front of Table Mountain National Park. In fact it sits out on its own, and though it does have a main road running in front of it, this doesn’t present much noise pollution, nor can you see the road from most of the rooms. This part of the peninsula feels rather like Cornwall, with its rocky surrounds and clouds rolling off the mountain above. Sitting on the coast at this time of year (November) it can attract some fierce winds off the ocean, enhancing the Cornish feel; you half expect Poldark and Demelza to come cantering past at any minute, hotly pursued by the Redcoats. Indeed, the winds can whistle inside the hotel and through the corridors, which to me was welcome fresh air and just added atmosphere at night, heading back from the bar. A little more on the 12 Apostles: as you can gather, I loved the rugged location, around 35 minutes from the V and A dock by complimentary transfer, the tourist heart of the city. She boasts two dining venues, fine dining in the Azure Restaurant, or a café grill as a cheaper alternative. The terrace of the colonial-style Leopard Bar overlooks the ocean and has a comprehensive cocktail menu and a satisfactory selection of craft ales. She also has an award winning spa and quirky little cinema with a midnight movie on request; just choose from a wide selection of classics. They will even put on fresh popcorn. Out the back are a series of trails up into the national park - bring binoculars for whale watching. You can also get the driver to drop you off at the local stretch of beach at Camps Bay if you would prefer. 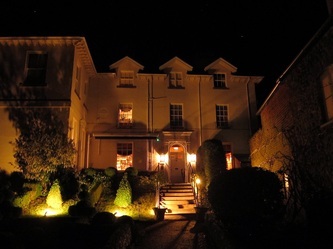 The hotel has a lot of character and is suitable for clients who wish to be away from it all, or those looking for a romantic break. Highly recommended. and what of the City itself! It makes an essential stopover en route to the winelands of Stellenbosch and Franschhoek or to the safari lodges elsewhere in South Africa. You can fly direct into the Kruger region without having to changes planes in Joberg. If you want to relax and enjoy the night scene, the best area is the waterfront at the V and A, which has a huge variety of shopping opportunities, a vibrant bar and dining scene and is safe. So best to get a hotel here if you are looking for night action. The other night scene centres around Long Street in the city centre, a collection of bohemian bars, and ethnic restaurants with a distinct local vibe. Caution here at night and use taxis to come and go. There seem plenty of them and they were not too expensive. The area here is safe in the daytime and makes for a good visit combined with Greenmarket Square, and the Castle of Good Hope. Also it’s worth visiting the District Six Museum, dedicated to the demolition of this very popular residential area during the apartheid years. 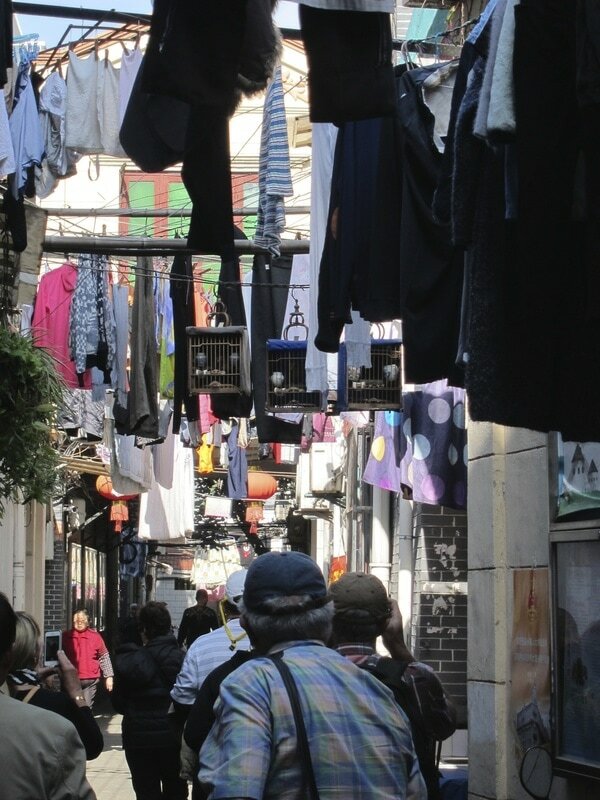 You can also stray up to the Malay Quarter, the Muslim part of town, and look for very cheap and delicious street food as the faithful conclude their prayers. 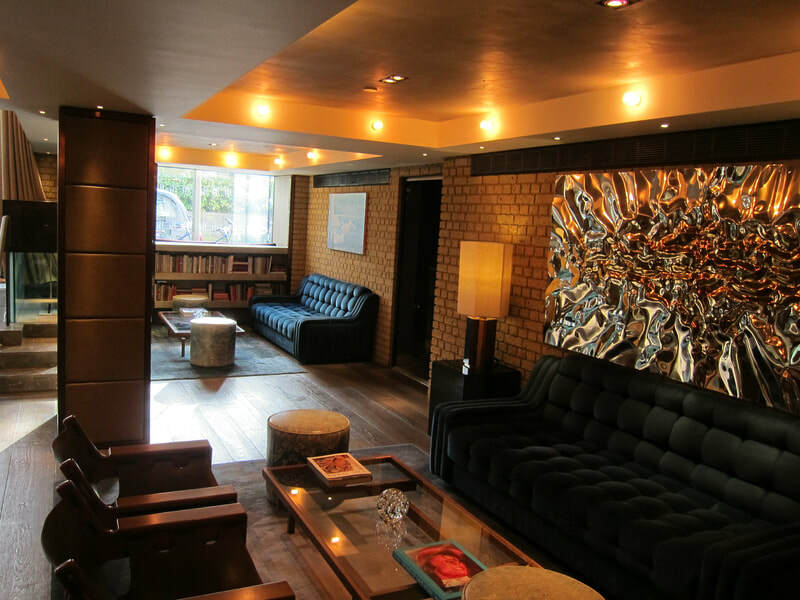 There is a small boutique hotel of note here, for those seeking good value in the city centre. The Big Red Bus tours represent very good value in this busy city. Allow two or three days to cover it all as there are a number of different routes, allowing access to Kirstenbosch Gardens, Constantia Nek (for a local wine tour) Imizamo Yethu Township (guides will meet you from the bus) and the Table Mountain Cableway. They have also just added a full daily excursion all the way down to Cape Point via Boulders Beach for the penguins. My other hotel stay was situated right in the heart of the action at the V and A waterfront. The Cape Grace gives again an old colonial feel, though it only it only opened its doors in 1996. A number of rooms overlook Table Mountain itself to give it extra character. This is the choice for best location and access to nightlife. As the breakfast was so good, I did treat myself to the fine dining experience at the Signal Restaurant, which, with the rand being such good value even post-brexit, was affordable and of course delicious. The hotel’s main bar wraps itself around the front of the property so that it feels almost like a ship and has a lot more character than most options in the V and A scene, so was a nice spot to while away an evening. 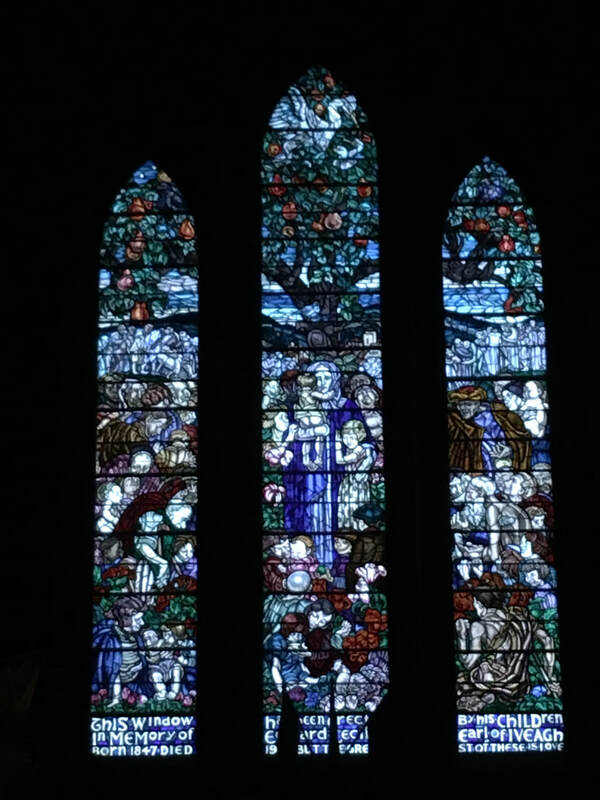 The V and A itself is worth a good half day to explore. Head notably to the Watershed for unique local arts and crafts, situated next door to the rather disappointing aquarium. It is also the departure point to Robben Island where Nelson Mandela was imprisoned. Book well in advance to take the trip. Locals are friendly enough and went above and beyond to track down a live feed of the Albion v Villa match and allowed me to watch a rather dull game without any problems. Overall, a brilliant city to visit. Allow plenty of time for this one, I wish I had allowed a few more days. The business class seat offers plenty of room, but it takes a while to work out all the logistics of the seat. 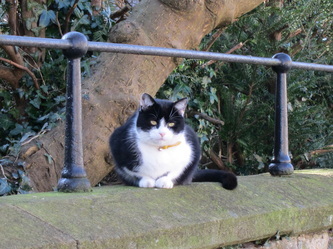 Once in place, however, it’s a comfortable space for a snooze to get over the early start. Food and drink offerings are up to scratch, cabin crew polite and friendly, as consistent with BA over the years. The remaining journey was uneventful until we approached Beijing. It appears Beijing’s infamous smog - a choking, toxic, brown cocktail - has settled over the city and not even the airline’s onboard computers can deal with it this dense. We are being diverted all the way to Shanghai, a further two hours flying time. I assume the local Chinese airlines have done better. It leads to a further three hours on the runway with imminent concerns about the crew running out of permitted working hours and the consequential offloading and termination of the flight, rebooking and so forth. Our Imperial rep is waiting for us as we step off the plane; he has been briefed and helps guide us through the formalities. (Note: a visa is required, costs from £85.00 , or using an agency, which I would recommend, from around £250. China is now moving to a visa free arrangement for short stays, currently 72 hours, provided you stay within the city of arrival. Check for more details.) We are whisked away to our hotel, transfer around 40 minutes to the Four Seasons Hotel, and promptly checked in with the rest of the afternoon at leisure. Inevitably, I was far too excited to rest and availed myself of the facilities of the hotel’s club lounge for tea and a small snack. 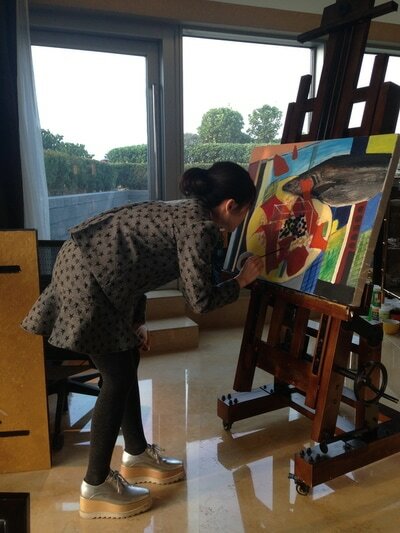 I did like the concept of an in-house artist; had it not been day one, I would have been very tempted to buy a work. I still have her number. Work by Fenghua Cui. The rest of the afternoon was for strolling in the locality and visiting the local flower market and galleries nearby. The air was still quite toxic so I didn’t stay out for long. 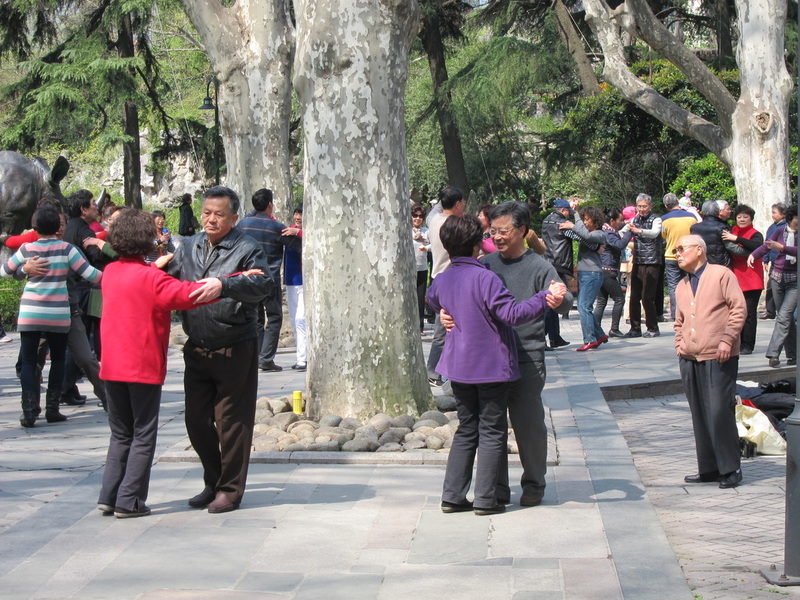 ​Early start to visit the Temple of Heaven and its grounds, an entertainment in itself on a Sunday morning. Getting old is a very different process here, as the golden oldies gather in the park to exercise, with all the equipment you can imagine. It was in effect a playground for old folk. No graffiti or theft of equipment here; These guys are very fit and clearly enjoying their retirement. Local games of mah-jong are played everywhere and there is even a market, so to speak, where parents with single children meet up to discuss their offspring and their prospects, in the hope of arranging a match. Next stop the truly magnificent Panjiayuan antique market, a huge gathering of buyers and vendors selling all manner of secondhand curios. It’s authentic in its feel and with very little hassle. It appears you offer 10% of the initial asking price and be prepared to settle at around 30%. If they don’t like it they will not usually pursue you. Just note what you liked and offer a bit more next time you see something similar. If you don’t see it again, it may have been worth biding up for the original. It’s great fun and at its pomp at the weekends. 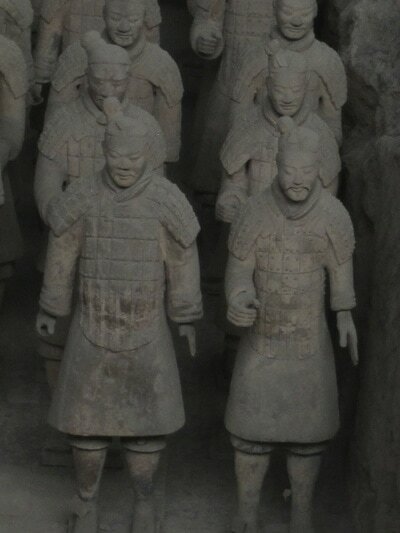 Look out for porcelain, jade, propaganda pictures, calligraphy, paintings, furniture, stamps etc. Final port of call was the Summer Palace, situated 9 miles from downtown. A vast expanse laid out around the man-made Kunming Lake. By late afternoon it was getting cold, overcast and drizzly. Not perhaps the best weather then to visit. On a summer’s day this would be glorious and rival Hangzhou and its magnificent West Lake. It’s a walker’s paradise. It’s also worth noting that Aman have a fine property just at the entrance to the East Gate. Sadly they were at capacity and we were unable to visit. The dinner stop was notable, a huge cavernous hall, dimly lit with our table at the far end. The toilets were at the far end, distinctive as they were actually within the same hall, cordoned off with only a curtain around the pan. Very odd! The Green Tea Restaurant is a bit of a celeb hangout, pretty much everything on the menu contains green tea, including the beer. (Tsingtao with tea leaves I suspect.) It did produce a highlight, Szechuan chicken with parmesan cheese. Real Szechuan pepper actually numbs the throat, a weird but not unpleasant experience for a chilli head. Back to the Four Seasons to find my room in darkness, but lights and music emanating from the bathroom. I turn the corner (open plan here) to find the bath area candlelit, and a piping hot bath already drawn with rose petals added for extra effect. Very atmospheric. I was pulling rose petals out of unimaginable places for the rest of the evening. There, that ruined that vision, didn’t it! ​And there it is! The Great Wall of China. Hanging above us like a trail of exotic pearls. More spectacular than your imagination prepares you for. The current wall has survived now for over 450 years from the Ming Dynasty, despite the attentions of the 60’s Cultural Revolution. Historically, fortifications have been in place since around 221BC. It stretches 5500 miles from North Korea to the deserts of the West. We travelled from Beijing in a little under two hours on a newly constructed highway to the Jinshanling section, which was formerly over four hours away on the old roads, and therefore little touched by mass market tourism. But that may change soon. The pearls stretch from one horizon to the other, and we are on our own except for the attention of a dozen local postcard hawkers who faithfully follow us around. Indeed, as we progress, arms shoot out to help us climb the steep steps upwards as we ascend a hill. Oddly, no money is requested. Imperial have prepared a buffet lunch with a nice hot soup at one of the watchtowers, and we have time to explore, though I would have loved to have had the full day just to drink in the atmosphere. Entranced, I was not aware I was the last one of the group to leave until Suz, one of Imperial’s guides, came and found me. 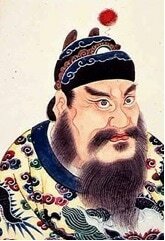 Imperial have a policy of employing western hosts to travel with you, thoroughly experienced in local affairs, fluent in the main Chinese languages, but with mother tongue English. It is possible to camp on some other sections in the summer - now that would be something at sunrise. Some have walked the entire length of the wall, whilst some of the more specialist suppliers can organise walking holidays here along selected sections. 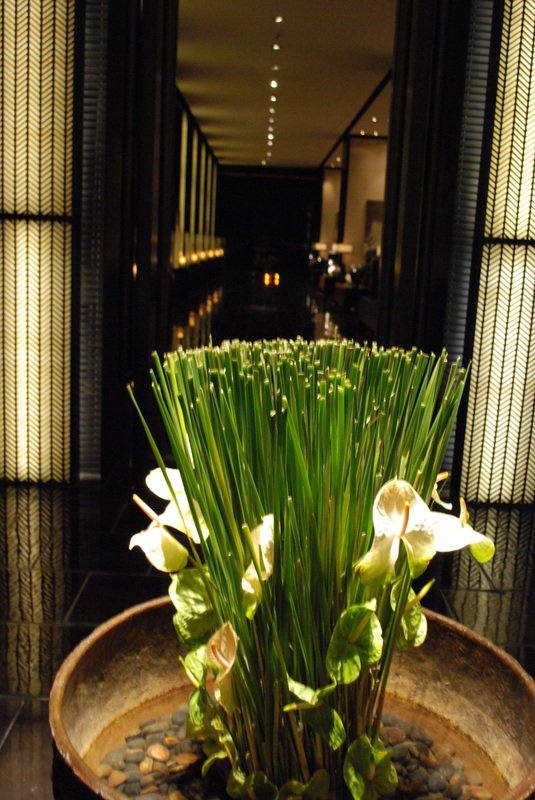 In the evening we visited the Rosewood Beijing, a really happening hotel and the best we visited in the City. 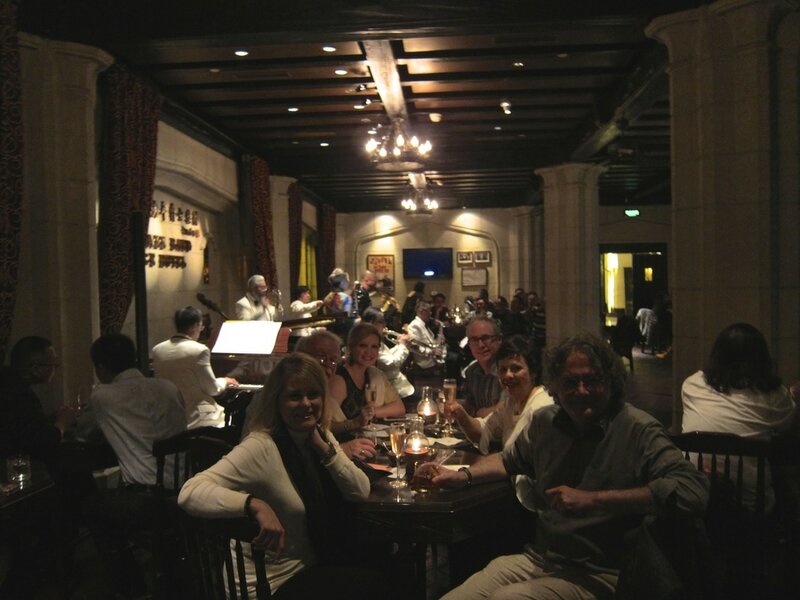 Lively nightlife and a vibrant atmosphere in the bars and restaurants. We dined in the Country Kitchen, which boasted an open kitchen where chefs prepared handmade noodles, Beijing duck and other Northern Chinese specialities. It even had local craft beer. This was our first introduction to a unique style of dining, with dishes being placed on a revolving table (lazy Susan) and you spin it around and help yourselves to the communal dishes. Awkward when taking a portion and the table spins away before you finish! Add chopsticks and it’s all a bit of an adventure and an interesting way to meet your fellow travellers. A fond farewell to the Four Seasons, our host for the last three days. I enjoyed the space the club room bought me, with its open plan bathroom area. 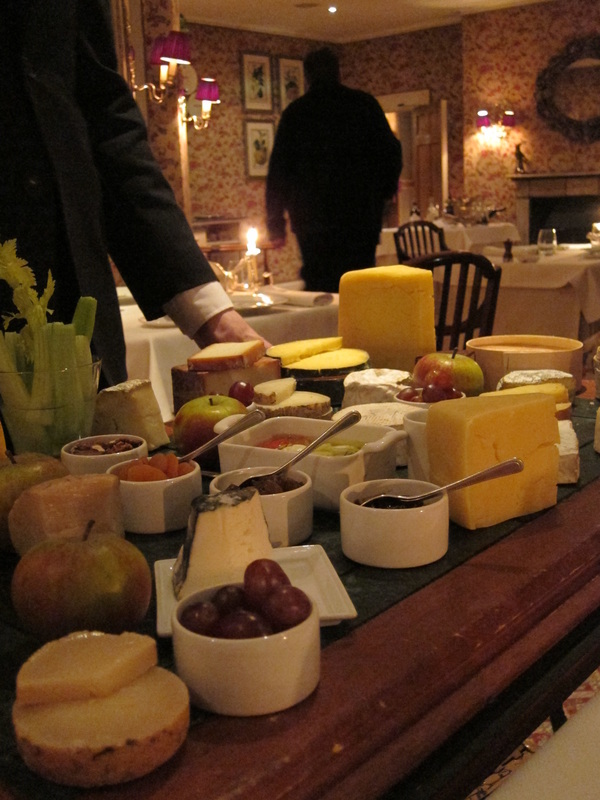 It was nice to have access to a complimentary selection of nibbles in the afternoon, for those of us who didn’t fancy lunch after a heavy western breakfast. Nice pool and spa area with the gym accessible 24 hours - important when jumping time zones. Contemporary with stylish, practical and thoughtful touches. Manager Andrew was visibly on hand to ensure guest satisfaction, easily noticeable by his odd collection of shoes and matching ties. Time enough for a leisurely breakfast before our assault on the Forbidden Palace in central Beijing. We start with a gentle stroll across Tiananmen Square. Most Chinese guides will endeavour to brush over the events of 1989 where hundreds of protesters died in anti-government protests. “Not bullet holes, only shadows.” Our guide was more forthright in discussion. Only once entering through the Meridian Gate does the enormity of the whole palace start to become clear. 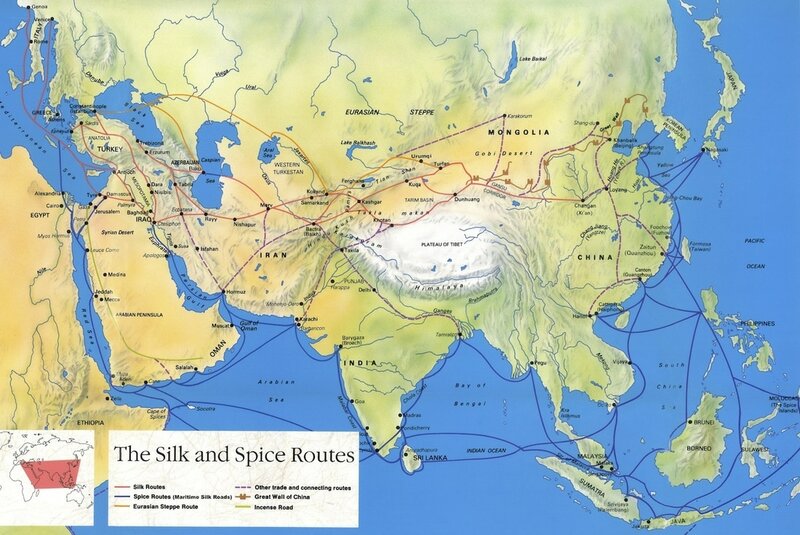 The palace is the world’s largest, see the ancient map below to gauge the scale. Imperial Tours were able to grant us access to some of the most precious parts (Chonghuagong), where the emperors lived and studied. We were able to cover the full length in a busy morning, blessed unusually with a clear sunny day. After our viewing, our coach was waiting outside the far exit at Shenwu Gate with packed lunches ready, and off for our afternoon flight to Xian. Our China Eastern flight departed on time but was delayed on the runway for over an hour whilst other planes behind obtained clearance to depart, no reasons were given. We got to Xian just as night was falling for the one hour transfer into the city. Xian town looked an enchanting place at night, still retaining its city walls and bell tower, one of the last Chinese cities to do so. All illuminated at night, it seemed a colourful exotic destination. Overnight in the Sofitel People’s Grand Hotel, still a little tortured by jet lag and the resulting sleep deprivation, plus a brewing cold, I greatly enjoyed my bed that night. My one main regret of the trip was not spending more time in this most classical of Chinese cities. After our visit we headed back through what appeared to be a modern shopping centre selling all manner of trinkets and fast food. The employees here used to be local farmers, but make more money now flipping burgers for the tourist masses. You could however buy stinky tofu if you needed it. A full lunchtime meal was provided, with such delicacies as braised beef rib with cabbage and wild mushrooms. Another stand out. In the evening we flew just over two hours due South to Gullin to arrive in the pouring rain at the Banyan Tree, Yangshuo after a 90 minute transfer from the airport. This beautiful resort hotel sits in the middle of misty limestone mountains in the Li Valley. It boasts a collection of suites and villas dotted around its substantial grounds, with trolley carts available for those who need. Each unit has ipod docking systems and the essential oil burners to add to the dreamy atmosphere. As the weather set in I took advantage with a long hot bath and a further battle with my cold. A well deserved night in. As we had arrived at night I awoke to find my suite almost seemed to have its own private mountain towering above. A quiet walk around the grounds took me down to the river and to appreciate the beauty of the surroundings with the mountains on all sides. This region knocks Krabi and Halong Bay into the minor leagues. This mornings event was a bamboo raft ride off one of the tributaries of the Li. Far from the madding crowd, another great advantage of Imperials service, we drifted at a very gentle pace for a couple of hours down river with our boatman. (On the ride through Yangshou town we could see some very big boats, and huge crowds on the main river.) Here it was just our group, Jamie our guide, and the river to ourselves. Fortunately the heavy rain of the previous evening had turned into a dry though overcast day. Rainy days however can create mists in the mountains to actually enhance the atmosphere. We visited some of the villages in the early afternoon, learning how to weave mats, make Tofu, and engage with the locals. One elderly man had weaved his own mat, which he wore on his back whilst farming rice, completely waterproof, proven as our guide tipped a bucket of water over him. The elderly gentleman must have been in his 80’s and rewarded himself smoking some form of local pipe. Gullin always seemed inaccessible to me so I was surprised to find out once you have crossed into China and undergone border formalities from Hong Kong, a fast train will speed you to Yangshou in little more than two hours, so this resort is a perfect accompaniment to a Hong Kong City break. If coming this way check out the very informative Yangshou Insider. Hong Kong to Shenzhen: Take a subway (30 min) from downtown to the Lok Ma Chau subway station at the Futian border. 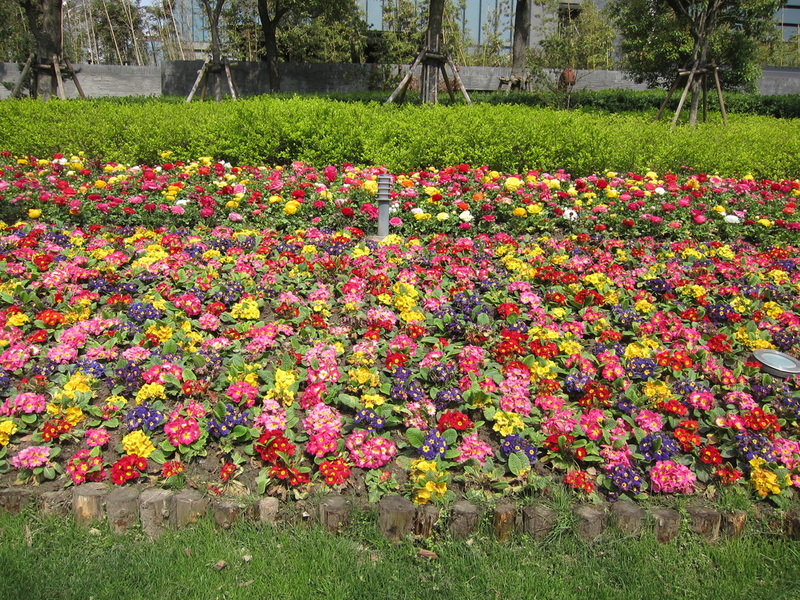 Walk through customs and take the bullet train from the Futian train station to the Guangzhou South train station. From Guangzhou to Yangshuo, get on the train on the Guangzhou South railway station and you could get off at either the Yangshuo or Gongcheng station, both located about an hour drive from Yangshuo. If the train of your preference stops at both, we'd suggest the Yangshuo train station (in Xingping) with a better road here which results in a slightly cheaper taxi fare to Yangshuo as well. Compared to getting off in one of the Guilin stations, either the Yangshuo or Gongcheng stations would cut your taxi/bus transfer to Yangshuo in nearly half - so worth looking out for a train that stops at one of these stations. Recipe from William Guo, head chef at the Banyan Tree, Yangshou. Garnish with berries, orange fillets and mint. The head chef of the resort, William, had by now taken a personal interest in assisting me with my colds side effects and offered suitable potions to remedy. We settled for black tea and honey, which really did help. Although we will cover the subject of food in more detail in another section, the most delicious breakfast dish, of Kircher Muesli was a a standout here. Back to the airport, through the stunning local scenery to find ourselves in a bit of a rush for our final internal flight down to Shanghai. The problem seemed to be at security where the staff where overindulgent in checking id’s to passports, literally checking letter by letter to the flight ticket. Huge queues appeared and we had to run to the plane which was just finishing boarding as we got there. A training issue as we might say. Frustrating. Not of course that we ever had to bother with our hold luggage, which followed us around with a trail of porters, airport and hotel staff. All we did was just say hello to it as we left the hotel, wave as it went shuffling past Terry Pratchett fashion at the airports, and greet it when it eventually appeared in our room. 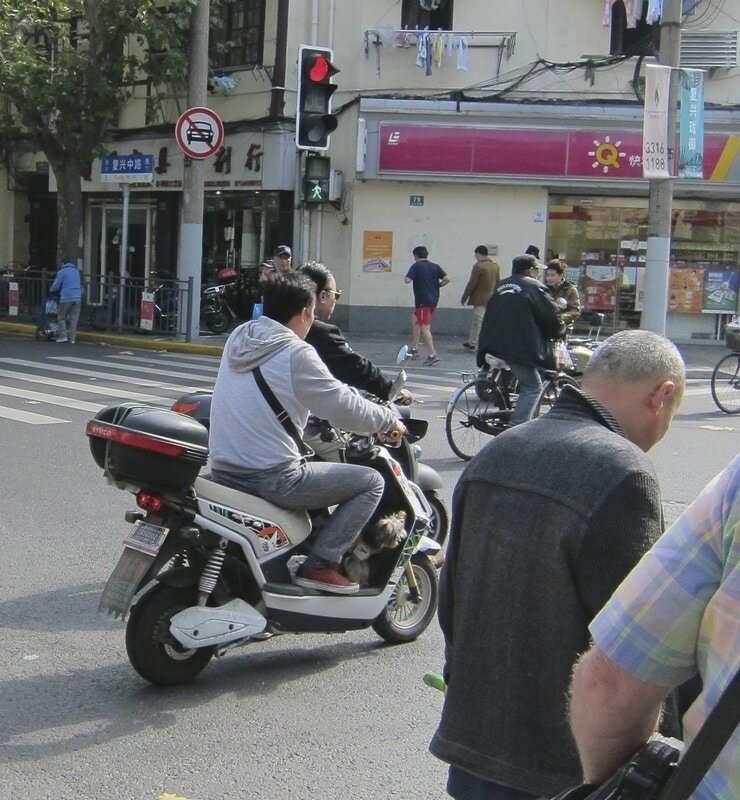 It was a sunny day when we eventually arrived in Shanghai and were introduced to the formidable ‘Typhoon Lilly’ our somewhat outspoken guide to Shanghai. Our last port of call was The Peninsula on the Bund, My room offered a full side view of the river action, although some of the party were not so lucky. Shanghai has already changed since my last visit with the building of The Shanghai Tower, now the second biggest building in the world, again changing the iconic skyline. Having missed lunch and for once hungry, off into town for food of my own choosing, and straight into all the street hustle that makes the Bund such a difficult place to enjoy, you can hardly move a street without someone stepping in front of you ‘What are you looking for’ It is almost a physical battle to move. I eventually was forced to take shelter in a shopping centre for a bit of peace. I was rewarded with a plate of my favourite Japanese fare Okonomiyaki (Japanese Pancake.) The evening was spent with a performance of the local acrobatic troop, all very touristy, but I did enjoy some of the traditional instruments used in the set. One player looked as if she had stepped out of a photo hundreds of year old with her manor and traditional costume. Finally up to the outdoor bar to drink in the view, bad idea it was freezing. 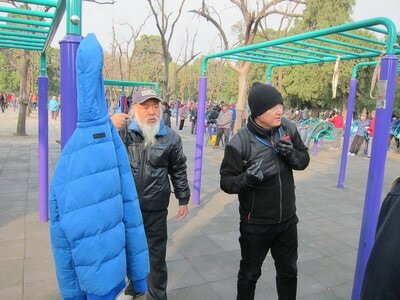 ​Students in China have it tough. A Beijing mother whilst discussing her daughter revealed she is now studying in high school – she’s in a class of 70 students to one teacher and there’s 20 classes in her year. When she comes home this week for Chinese New Year, she has been signed her up for internet school which she will do every day from noon until 6pm during the holidays. In addition, she goes to a boarding school where they work straight for 12 days before giving the students a weekend off. If you think that is harsh when her Mother was at school, she would come home do household chores such as cutting firewood and looking after the pigs until well after dinner time. Only then was it time to do homework. Except that she had no electricity. 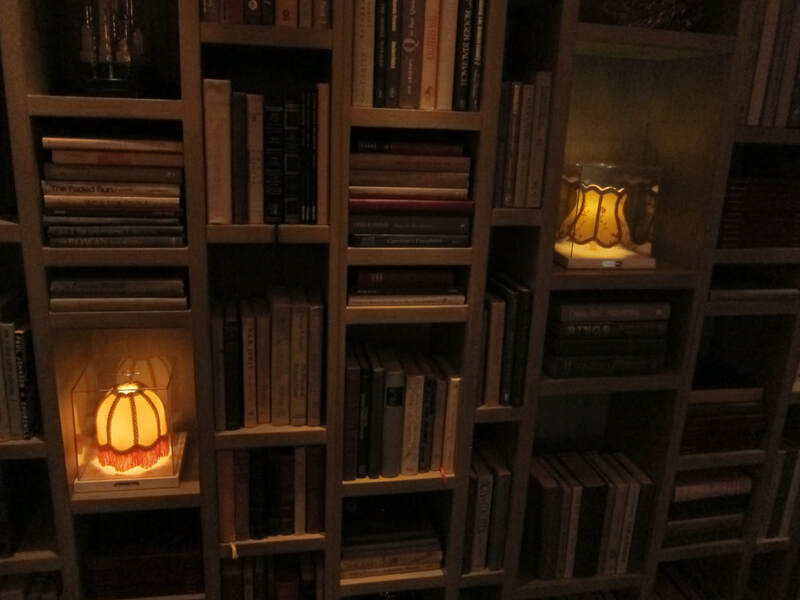 With no money for candles she would study by the light of some extremely weak filament that they used then to create a faint light in which to work. ​This morning we enjoyed the company of a guide from the Shanghai Historical Society, an American gentleman well connected with the city, who was able to guide us around the city like a local but with an endless knowledge of the history of the Bund. 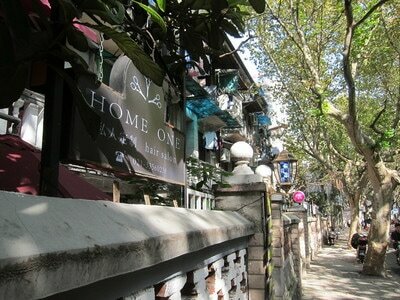 Onwards, through some of the old streets of Shanghai, where life has not changed for decades. These are sadly becoming rarer as commerce dictates their demolition in favour of endless tower blocks, of up to 40 levels which can sell for £1 million each. What of the former residents? If they hold the land rights they become overnight millionaires, with their families set up for life. 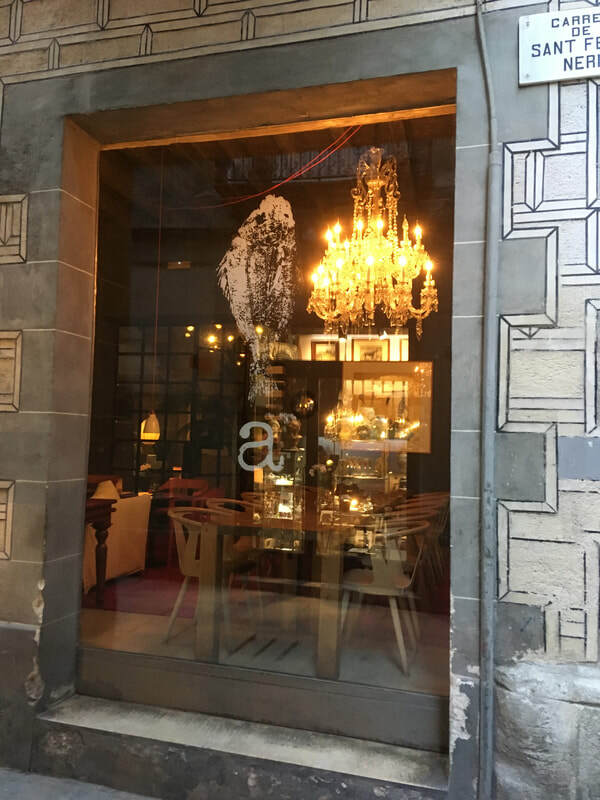 ​We were then bussed to the Old French Concession where I made a break for independence and enjoyed the afternoon wandering the area and enjoying the diverse shops and eating options. 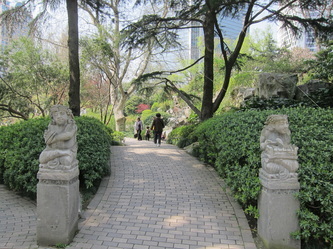 This is the part of Shanghai I enjoy the best, bohemian and an exotic blend of East meets West. While the team were shopping I found the Boxing Cat Brewery, which had a good selection of draft beers available at happy hour prices, £3 a pint and upwards. It offers a good food selection in a sports bar setting, a mix of locals and ex-pats. With the evening marked for our showaround of the Peninsula and in-house dinner, I couldn’t enjoy very many and it was soon time to reacquaint myself with the local Metro system, which is very efficient and safe. My stroll back to the hotel allowed me a little time in some of the shops, looking at bags (more expensive than the UK) and the ubiquitous tea shops for some brews to take home. After our hosted dinner and showaround, we ascended to the rooftop bar which was crowded and it took a while for us to get seated and enjoy the legendary views. Sadly for such a fine hotel, the bar service was simply shocking, 40 minutes for a drink and total confusion over the bills. We gave up and had a nightcap in the other bar, which was a little better. 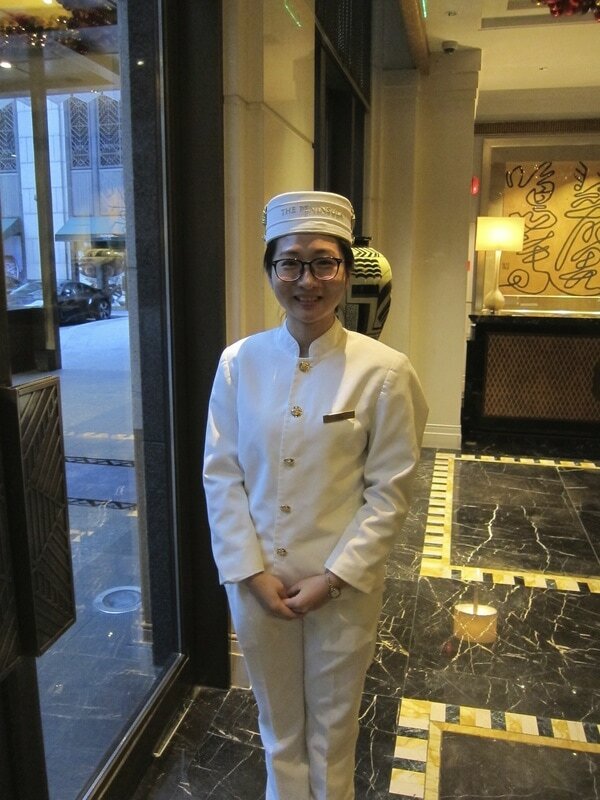 The Peninsula itself was of course elegant and stylish, with its fabulously dressed bellhops looking just the part. Being on this tour, each hotel charmingly gave us a little gift on departure. The Peninsula did it in style with a set of branded luggage stickers. Brilliant, they’ll get used. 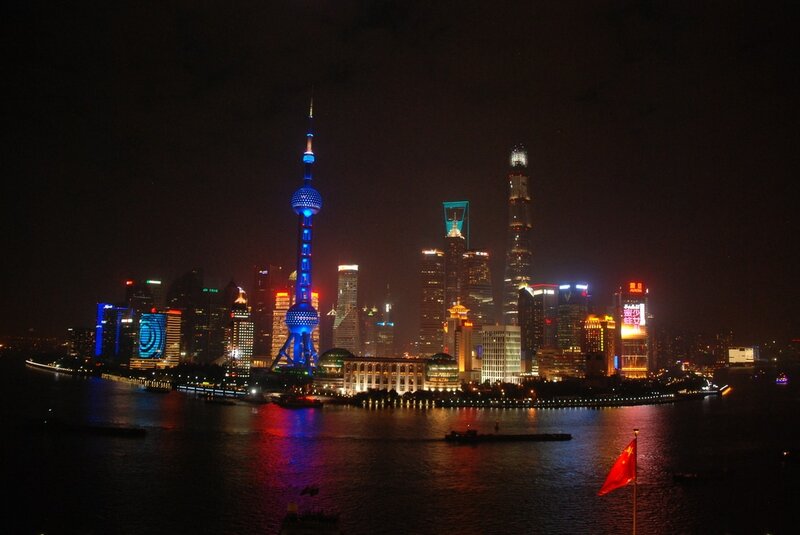 ​It was nice to be back in Shanghai, as annoying as the hustle is on the Bund it’s still a fabulous City to visit. Bearing in mind the cost of the Bund, unless you can guarantee a river room I still prefer staying in the French Concession. It’s far easier to negotiate and has most of the nightlife, and prices are a good step off the Bund. Also transport stops early at 22.00, so unless you want the taxi battle the French Concession wins overall. ​It’s a dull and misty day in Shanghai for our last full day in China. 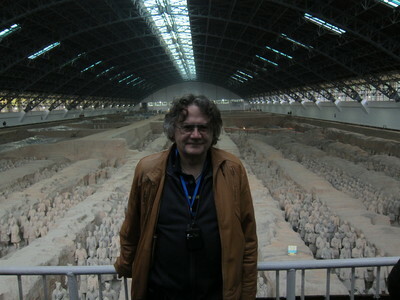 The object of our attention today is the Shanghai Museum. I thought the time given would be far too long but of course two and a half hours later I was rushing around trying to see everything possible. 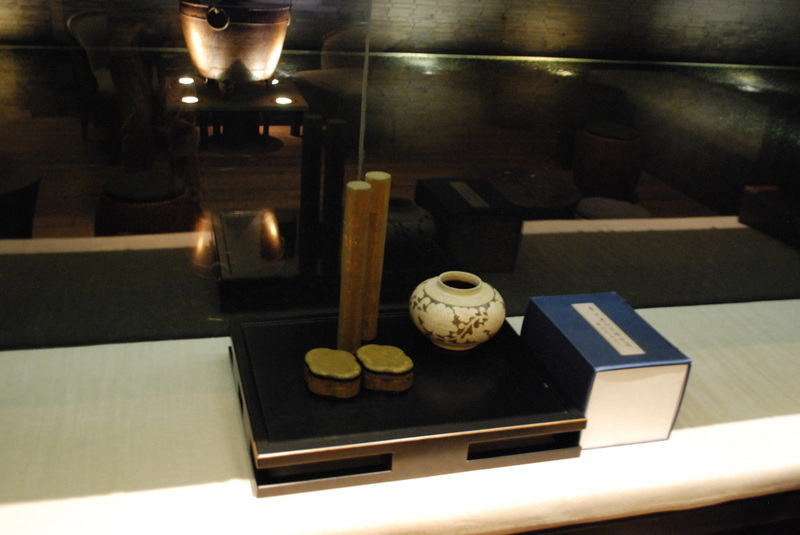 It’s stuffed to the gills with paintings, calligraphy, bronzes and jade. Indeed, another half an hour was spent in their superb shop, the best I had seen in China - quality reproductions of art, a library of books, jewellery and so forth. 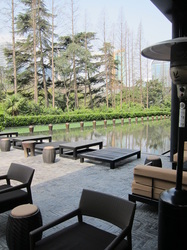 A lunchtime stop bought us back to the edge of the French Concession and for an inspection of the Puli, where I stayed on my last visit. I really enjoyed my stay here last time and it was nice and rather odd to be back again so soon. Well located for this neighbourhood, with a metro station next door. As the weather cleared we spent the afternoon visiting the Yu Gardens and the surrounds, which was the most crowded part of the whole trip; wall to wall people crowd the area, though it was a Sunday, so only to be expected. 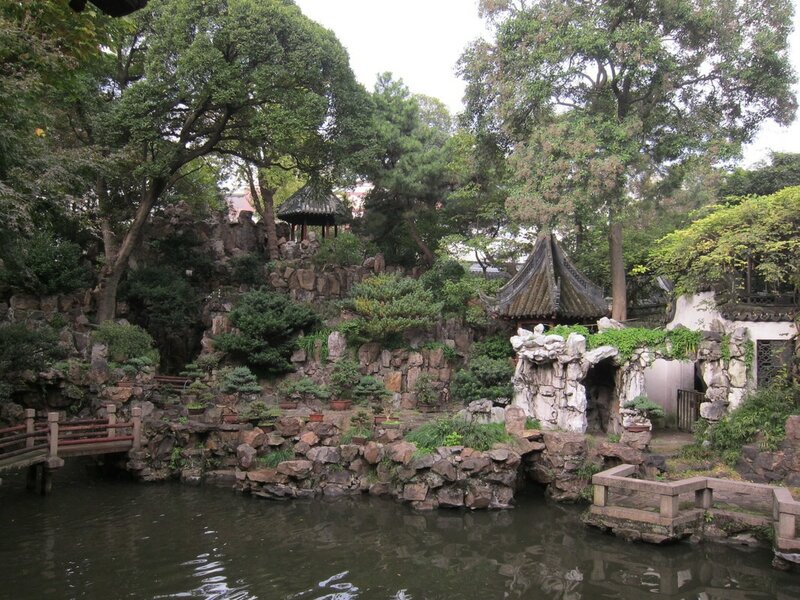 This is a fine example of traditional Chinese garden design and is the main tourist area of the City. We were left a little time for last minute shopping and in the evening took a stroll along the Bund for an Italian farewell dinner. 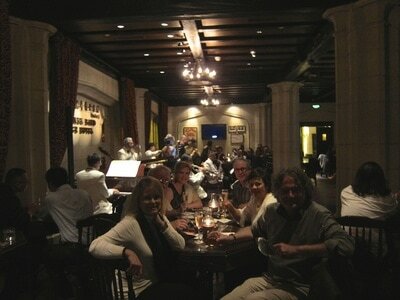 This was ideal as it allowed some of us to say our farewells in the great old jazz bar of the Fairmont Peace Hotel. The current band has an average age of 82. Reservations are recommended at weekends with music from 21.00. The whole atmosphere takes you back to 1920’s Shanghai and a very different world, a fitting end to our trip. 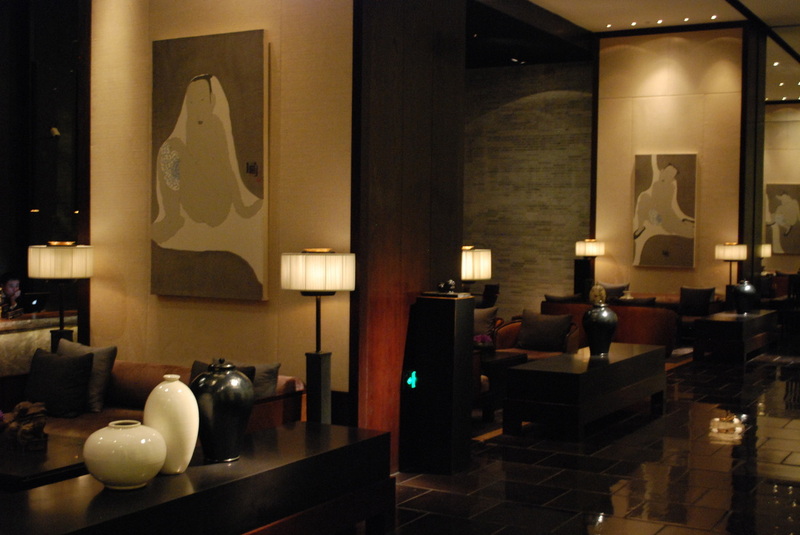 The Peninsula is certainly very well situated for the Bund, and although as previously mentioned service standards were in parts questionable, rooms were delightful and more so when you had the view, but of course not all rooms do. I still prefer being in the French Concession. Worth noting to offer clients the choice. ​The longest day, for most a long flight home to the States, but an afternoon start. However I had to get back early, to connect at Heathrow for my next adventure. Imperial Tours were still kind enough to provide a car to Pudong airport, and as usual I arrived in plenty of time. It was a great relief to see the plane arrive on time and a comfortable flight back to LHR in business. Indeed I was able to snag a couple of seats in the middle so had loads of space to snooze and read. Surreally, back into Heathrow to find another Amex fam trip back from Vegas on the same luggage carousel. I had plenty of time to transfer over to T3 for my connection, save for the panic when my bag failed to arrive. Just I was about to give up and start filing the paperwork it arrived on its own without explanation, clearly having found something better to do in the last half hour. Or maybe it just got lost. By coincidence, this trip was offered after I had booked my main holiday to South Africa, and the trip corresponded by just four hours, leaving me with no time to get home, so luggage was packed for weather between freezing and plus forty! A full South Africa report will appear shortly. A huge thanks to Nancy, Guy and our ever present guide Jamie for putting it all together. Lifelong memories. The tour has covered a lot of ground, and most of the sites where clients will want to go. What however if you get the bug and wish to return? ​ Here are some other destinations to bear in mind. Lijiang: Located in the far South near the Myanmar border, on the lower Tibetan plan. This small quaint City with a unique old quarter (Dayan Old Town) sits on a meeting place of the South Silk Road and The Tea Horse Road. Expect winding cobbled lanes, full of timber framed dwellings, canals, exquisite stone bridges overhung by willows. A blend of Han, Bai, Tibetan and Naxi cultures bought to it by the old trading route between Burma and Tibet. From here you can transit through high mountains, lush valleys and deep gorges to Shangri La itself. Stay at the Lux Tea Horse Road. Huangshan: In the heart of the Yellow Mountains. An ideal base for trekking. 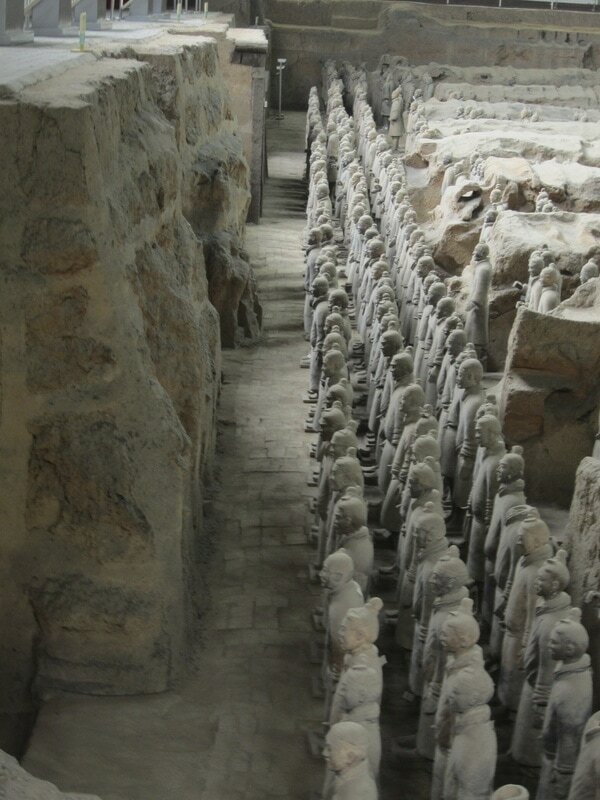 Five hours by train from Shanghai, and can be included in an itinerary featuring Hangzhou (See previous blog entry) Come here for towering granite peaks surfacing through a bubbling mass of clouds, hot spings and ancient villages. A photographers paradise. ​Dunhuang: Historic oasis town on the western edge of the Gobi desert. This was historically an old garrison on the silk road, located on the frontier to China itself, indeed remnants of the original great wall are still accessible from the town. It is also noted for its caves (Mogao Caves) hollowed out by Buddhist pilgrims dating from the 5th Century. This wonderful Country House sits 20 minutes drive from Aberystwyth, just outside Snowdonia National Park, overshadowed by mountains, and next door to one of the finest RSPB birdwatching sites and nature reserves in Britain. 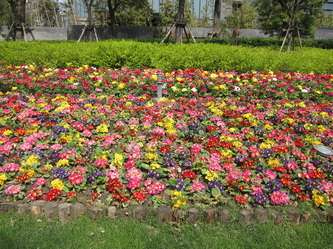 The gardens are a radiance of colour, a veritable Garden of Eden. 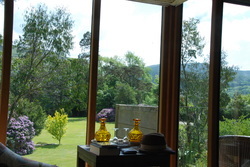 Ynyshir hall boasts just ten bedrooms, leaving it a very quiet and secluded spot, perfect for relaxation. Therapy treatments come highly recommended to complement the relaxed vibe. My wife and I were lucky enough to have a Deluxe Garden Room with its own balcony, perfect for taking a leisurely tea first thing in the morning before a hearty breakfast. The restaurant, proudly managed by head chef Gareth Ward, boasts a Michelin Star and features a selection of tasting menus from five courses. The Welsh Wagyu was undoubtedly the tastiest beef we have ever eaten. The meal concluded with a meeting with the chef in the kitchen for a final course served with a flourish. Though a drive from London would total around 4.5 hours, it could easily be combined with a stopover in the Cotswolds to make an extended weekend break, or as part of a wider Welsh itinerary. See http://www.visitwales.com/. This lovely classical style property is a step back in time, with its bar and restaurants overlooking the Arno and the Ponte Vecchio which is just a two minute walk away. The hotel has some surprising touches, with modernist art decorating the walls including a genuine Picasso. Coming back on a cold day feels like coming home with its welcoming real fire and its homely atmosphere. On arrival we received a very helpful ten minute brief from the very knowledgeable concierge, maps and guides, and all the help we needed. The hotel has 73 rooms from the Relaxing Room through to a variety of suites. 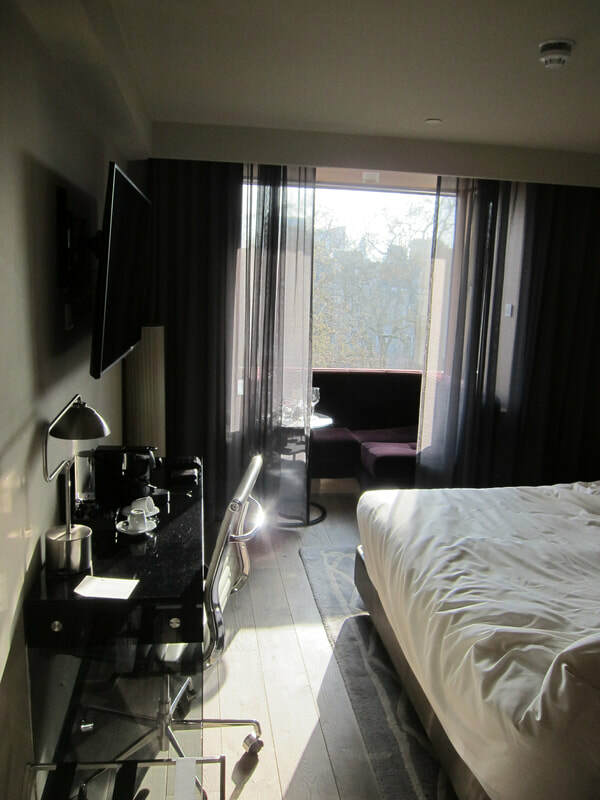 Our room (Executive with balcony) had a beautiful terrace overlooking the heart of the city and the Ponte Vecchio. She has 73 rooms from the Relaxing Room through to a variety of suites. It is best to check if the room you sell has an Arno view otherwise your client may be disappointed. Meanwhile on the city side of the river, opposite The Lungarno, the Ferragamo family have opened a striking new property, The Portrait. This is a dramatic, all suite, sister hotel to the Lungarno, aimed at younger clients welcoming both children and pets to its conveniently interconnecting rooms if required. Floor to ceiling windows capture the full view of the Ponte Vecchio, without putting your little darlings at risk of a fall. It has quite a contemporary feel with its full use of technology , from dramatic music hanging in the air through to its electronic tablets in the lifts displaying past guests selfies taken right where you are standing, (No sticks required) The Japanese market will relish it. Relaxed and informal, it boasts 37 suites each with their own kitchette and bar should you feel like staying in. A great choice for the younger boutique style crowd. A classical 18th-Century Florentine Villa situated a twenty minute walk from the City centre overlooking a quiet square. This of course means the local cafes and restaurants can be up to one third of the cost of the City, plus you have the real advantage of enjoying the local ‘Dolce Vita’. Consequently the property feels more along the lines of a stay in a historical luxury villa and does not feel like a hotel at all. It consists of 100 rooms and suites ranging from a classic 25sqm room all the way through to a huge Royal Suite at 170sqm. Some De Luxe rooms and upwards offer balconies with great City views, with Penthouses boasting their own personal terrace with sunbeds. The Hotel has two restaurants, with fine dining in the Lorenzo de’ Medici or The Conservatory offering a lunch time choice overlooking a garden and pool (summer only.) It also boats a fitness centre with sauna and a relaxation area. ​Situated a mere five minutes walk from Tokyo main railway station, and overlooking the Imperial Gardens this lovely Leading Hotels property could not have a better location. A short stroll will take you to the famous Ginza shopping district, or the bars of Kyōbashi. It can offer 278 rooms and 12 suites in a Contemporary design. 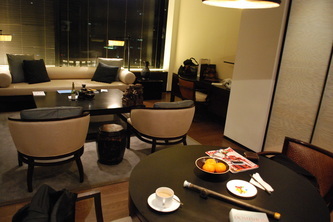 Our spacious De Luxe room had a wonderful view of the Gardens and the City behind from its own private balcony, unusual in Tokyo. Indeed on a clear day you can see Mount Fuji. Underneath the hotel is a shopping and dining area, boasting its own bakery/deli and Irish Pub. The hotel has no less than ten restaurants and bars, including Chinese and French if you fancy a break from Japanese. I noted the hotel was fully sold on the night we stayed, a nod to its popularity. A busy last night schedule denied me a possibility of using its pool or the Evian Spa it was such a shame we had such an early start the next morning we would have loved to have stayed longer. “Your first time in Istanbul?” said the owner of a rather lovely house I appeared to have wandered into at random. “No I was here last in ‘69, my father had unusual ideas for holidays.” Her eyes popped over the top of her glasses to study me. “No not all, except for the Grand Bazaar.” That was putting it mildly, rather wilder then. Coffee and lemon cheesecake is offered as I sit down for 10 minutes to catch my breath. This lovely little coffee house sits just behind Taksim Square, the beating heart of Istanbul. Children sing and dance for Lira, musicians appear, suits mingle with hijabs, shoppers hurry past gawking tourists, and students line up for cheap, excellent kebabs on the street corner. I swear I had imagined all this assault on my senses as a child. No, it was exactly how I remembered it, as thrilling and exciting now as it ever was. Istanbul of course sits on the border of Europe and Asia, in an Islamic country, but one that holds a modern take on its past. Thus it is a unique blend of two cultures; lively nightlife, with late nights and hangovers being brought to book by the dawn call to pray, particularly in the old city. To even attempt to make any sense of it, imagine a city divided into three, the old historic city in the south. Cross the river (Golden Horn) into the Beyoglu, the modern heart of the city, with its shopping and nightlife. Then head out across the Bosporus into Asia, to the more authentic Üsküdar and Kadıköy, where few tourists venture. From here trains head out all over Turkey, deeper into the real East. I spent a couple of nights in the old city at Ibrahim Pasha, a much loved boutique hotel just around the back of the Blue Mosque. Very good rates, but some rooms can be quite small, so it’s worth paying a little extra if you can. Temperatures in Istanbul in November rival England and can be colder, so a nice real fire made a welcome homecoming in the evening. Beware of that early morning call to prayer though, great for early starts? 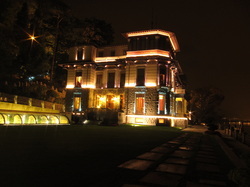 The second stop was the Park Hyatt up at Maca Park in Nişantası. Here is the newer, trendier part of the city, known for its high end shopping, a world apart from the old historical area. This makes it an ideal base if you want to mix the ancient with the modern. 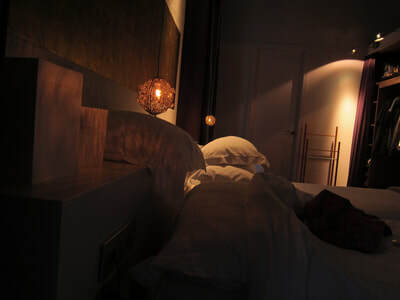 The hotel is an award winning property with some imaginative twists, including what was in effect an in-room spa with mood lighting and its own steam room. In the summer the hotel offers an outdoor lap pool, a very cool spot away from the heat. It is also a ten minute walk to the convention centre which will appeal to the business traveller. My day to day arrangements were kindly advised and assisted by Aida Tours, our local DMC, who provided a superb personal guide on my first day to guide me around the old city. Bora, fluent in seven languages, with a perfect accent, and a phone full of illustrations of past times Istanbul, bought the whole experience to life. We fast tracked around queues (not possible at the Blue Mosque) enabling us to cover much more ground. 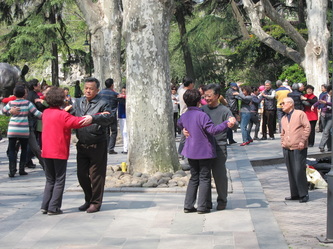 Humorous and informative, the tour is an important add-on for guests visiting this city. Aida can provide VIP airport pick-ups and personalised day to day arrangements depending on your client’s need, and not just for Istanbul but the whole of the country. Istanbul makes a top destination for a longer weekend break; it is three hours twenty minutes from Gatwick. Turkish fly four times daily, on a two class service with a full cabin service. Speak to Leisure Travel for any bespoke requests. A city break can be combined with the beaches of Antalya, Fethiye and Gocek (mid March to mid November), the natural beauty of Cappadoica, or the old historical site of Ephesus. I simply cannot think of a city which has more atmosphere and history, without being ruined by modern development. The old town of Dubrovnik is still surrounded completely by its city walls, such indeed is the level of maintenance you can still walk around the top of them (£10 admission). The entrance to the city is guarded by a drawbridge and gate, and towering walls which open into The Stradun, the beautiful main street running all the way through the town. Out of season, once the visiting cruise ships have departed , it becomes quiet and later in the evening simply haunting. You can wander around at night on your own, and be the only person around with just the cats to keep you company. You could be way back in another century. Unlike in most other cities, there is no threat, except of being overcharged by the owner of the Troubadour Jazz Bar (avoid). Galleries (often unstaffed, just to add to the eeriness) and bars open until late. Incredibly, this city was fought over just as recently as 1993, in what is known as the Homeland War. Fortunately the only fighting it has seen since is from cast of Game of Thrones, who used this as a major filming location. It boasts a fine collection of atmospheric restaurants (pay around 20% more than you would pay at home on average), of which our favourite was Taj Mahal, a Bosnian run establishment with far more of a nod to the Middle East than to India. The huge veal pastry slice was wonderful with the full bodied red wine. The city is more for romantic weekends than for group parties. We stayed a mere ten minutes walk from the main gate at the 100 year old Excelsior Hotel, owned by Adriatic Luxury Hotels who also own the more classical-style Gran Hotel Argentina, two minutes up the road. The Excelsior is of a contemporary style and boasts superb views of both the sea and the old town. Oddly, the entrance is actually above the main hotel and you get the lift down to access rooms and the excellent spa, pool and fitness facilities. Indeed the hotel has a terrace by the sea with a ladder leading directly into the ocean for those who prefer a real swimming experience. The lead-in category of the Excelsior is a Classic Room, but I would guide guests to go for at least a Superior Room with sea view, to take advantage of the amazing vistas of the sea and old town. Upwards, the De Luxe sea view and the Executive Suites offer much more space to enjoy. In warmer weather, the only problem with the suites is whether to spend a night in with room service on the balcony or wander into town for dinner. 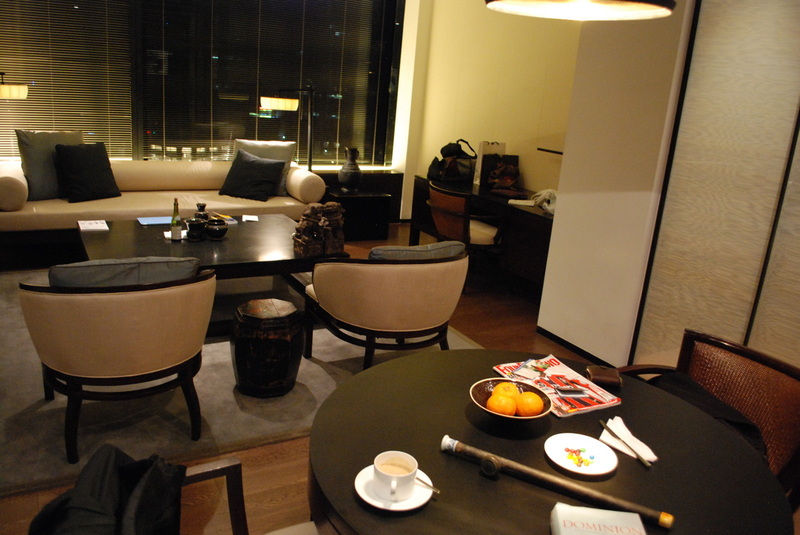 The hotel can also provide Ambassador and Presidential Suites for its frequent VIP/Hollywood guests. For groups, several waterfront villas are available away from the bustle of the main property. Conferences and weddings can easily be accommodated in private areas. Although we only had two full days here, your stay can easily be extended, especially in summer, by visiting the nearby Elaphite islands, or even a day trip into Bosnia to visit Mostar. It can also form part of a more comprehensive itinerary with Hvar and Split, before moving onto Montenegro. Castadiva Resort and Spa is the former home of Italian opera singer Giuditta Pasta which has been converted into a luxury resort and spa located on the shores of Lake Como. The main building (Villa Roccabruna) consists of ten luxury suites, the main reception, lounges and spa. In the gardens are nine further villas and the gourmet restaurant, L’Orangerie. Signorina Pasta looks out on her guests from numerous portraits around the resort. The resort is a twenty minute drive from Como town, or around ninety minutes from Malpensa Milan. The nearest railhead is Como which will take around two hours from Malpensa. It’s remotely situated but does provide a complimentary shuttle service into Como. Alternatively, it’s a 30 Euro taxi ride away. Walking out from the resort to explore the lake area on foot is not feasible, due to the mountainous terrain. Castadiva’s sweeping classical decor has a regal feel, and its sitting room and bar offer breathtaking views of one of Italy’s most beautiful lakes. 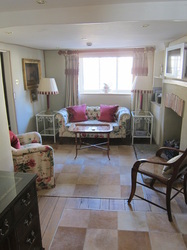 We stayed upstairs in the main villa, in a duplex suite with living room downstairs and main bathroom and bedroom above. We decided to treat ourselves to dinner in L’Orangerie - the chocolate and boar ravoli will never be forgotten. The main dish of my Italian favourite, Adriatic sea bass cooked in sea salt, was sublime. The next day we took the shuttle into Como town, which had a surprisingly delightful old town, full of market day characters. 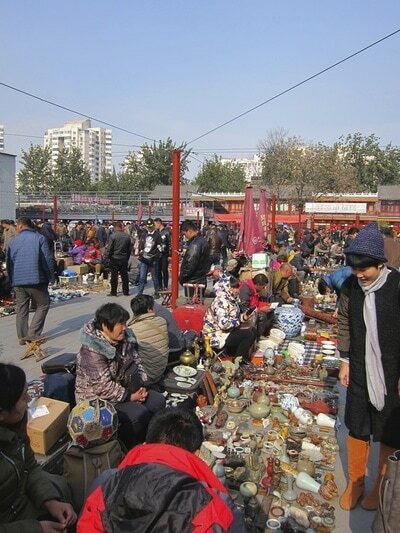 The main flea market had a whiskery old vinyl seller playing classic Pink Floyd to the crowds outside the coffee bars. Only I could possibly uncover a micropub around the corner with Kernal IPA on tap, and a very friendly owner. Sadly, when he asked if I was into football, a minor rebellion occurred and I was dragged unceremoniously from the bar by Madame . The Spa at Castadiva is very imaginative; as well as the treatment rooms guests are offered a heated pool with jacuzzi, a good sized Finnish sauna with accompanying ice cascade, a salt room, scented showers and a relaxation area. It’s more of a spa theme park - you could spend the day. We also visited the charming little port town of Vapore, just 5 kilometers away, but several decades back in time. Here you sit by the harbour, well away from the madding tourist crowds, nibbling on complimentary snacks from the one local bar (happy hour, apparently). We had to summon a taxi at cost from Como to reach it, but our imaginative concierge managed to cut a deal with the restaurant owner where we dined, who got one of his staff to give us a lift home. We wondered how he had got a car to the harbour front, where there were no roads, and soon found out. Not only do the locals drive on the pavement, but in true Italian Job fashion, their hard worked cars also exhaust themselves negotiating flights of stairs and anything else that gets in their way. The lakes are glorious, timeless and a return journey will be booked soon. Perched on the Adlisberg Hill, high above the City of Zürich, the Dolder Grand is a unique luxury hotel choice, which benefits from having a country feel to it whilst being close to the City Centre. Quirkily accessed by a rack and pinion railway from the Römerhof tram stop, which is itself just ten minutes from the Altstadt (old town). The reception was warm and friendly when we got there. This is a big hotel which was very busy with conference guests as we arrived, though they were largely kept in the modern wing of the building away from other hotel guests. 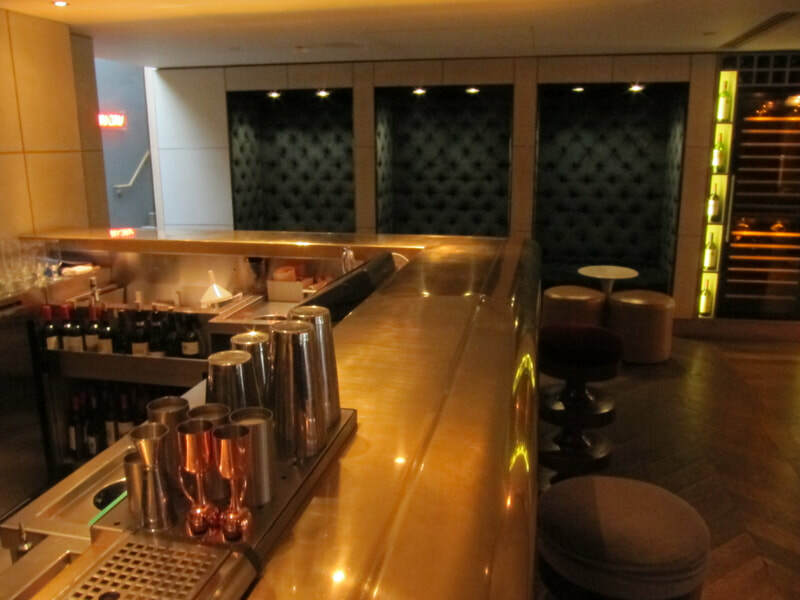 The bar was unusual; situated down a flight of stairs, its dark set decoration and intrusive disco music made it feel a little stuck in the ‘70s. We appreciated the freshly cooked breakfast brought to our table each morning - none of your breakfast buffet trough nonsense here in Switzerland. It set us up for a good day browsing around the Altstadt, which was wonderful - large, unspoilt, full of unique gift shops and ever-so-cute coffee houses. Then, when we needed to go back to reality in the form of an Apple Store, the big top end Prada-style chains were just on the other side of the river. Yes it is expensive; eating and drinking is twice the UK price, clothing more so. But there are still some gorgeous individual souvenirs to be had which were just about affordable. Our one evening in town was spent in The Zeughauskeller, a bustling Swiss beer hall with traditional food and locally brewed ale. The Dolder Concierge was able to grab us a table at the last minute, and we enjoyed our locally themed evening, still being able to get back to the hotel on the rack railway. Is this the only hotel with its own railway station, I wonder? 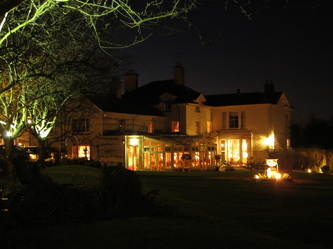 A very worthwhile visit – it’s not often you get such a wonderful country hotel so close to a city centre. 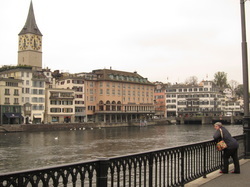 Do consider Zürich as a leisure option and not just a business destination. It’s a shame then that this wonderful old city, unspoilt by modernisation, is not really on the UK tourist trail. Puglia is a more remote part of Italy, situated in the ‘heel’, a two and a quarter hour flight from London. The area will appeal to those tourists who have perhaps done Tuscany and are looking for something a little more adventurous. The countryside is covered with dramatic olive trees, which over centuries have twisted and turned themselves into art forms. Consequently, it is the centre of the olive oil trade. The area is also known for good quality wines. The coastline is dramatic with some towns such as Polignano located above breathtaking cliffs, boasting caves which have become venues for bars and restaurants. Probably the most famous part of the landscape of this area are the Trulli houses, not dissimilar to Kent’s oast houses. Sadly, though, these are not part of a brewing trade. These circular buildings, with their odd conical roofs, are dotted throughout the countryside, with the old town of Alberobello boasting the most prestigious collection. Used traditionally as residences, their design dates back to prehistoric times. The lovely Borgo Egnazia is situated in the heart of the Puglia countryside. Approached through rustic olive fields, this lovely property offers a Moorish North African feel, appropriate for its position in Italy’s deep South. It is situated equidistant between Bari and Brindisi, about an hour’s drive from each. It consists of three sections; the main building ‘La Corte’ is where the individual rooms are located. Outside is the ‘Il Borgo’, which is set up in the style of an Apulian village. Here you walk through its quaint whitewashed streets to your own little house. A luxury living space downstairs with bedrooms on the first floor, they offer generous outdoor space both on the roof and in a little garden patio extending from downstairs. Finally there are a number of full sized villas, ‘Le Ville’. 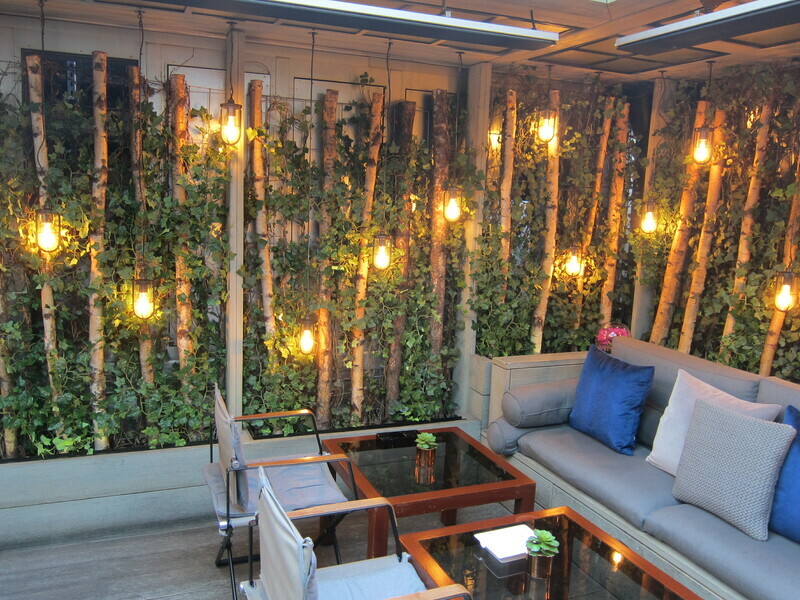 Il Borgo has its own piazza area, an al fresco dining area with entertainment in the summer months. It also boasts its own chapel for weddings and a well equipped children’s club (with cots) and associated facility for teenagers. When we visited we were met by happy children, diving around in the dirt collecting lizards and having a great time, watched over by their carers and even a dedicated lifeguard at the poolside. For parents it seemed ideal, and was probably the best children’s club I have seen. Moving into the main building, a long corridor leads through to the dining areas and bar, with reception at one side. Further back is a games room and cigar lounge. The bar was again enthusiastically managed and stocked a wide variety of rums and some local beers, which was nice to see. The spa (Vair Spa) has recently won the Best Emerging Luxury Spa award at the World Luxury Spa awards in 2013. There are a variety of dining options, especially in the summer months. The main gourmet restaurant, Due Camini, offers locally sourced Puglian fare, fresh and in season. A wide variety of locally caught fish can be combined with fine local wines. Mia Cuccina hosts cooking classes where you can dine on homemade pasta you have made yourself. Also offered are bicycle rides, tennis and a selection of watersports. An international standard golf course sits directly opposite the main entrance. A twenty minute walk from the property leads to the small fishing port of Savelletri, which makes for a worthwhile morning stroll to inspect the fish market. Combined with the wild and rugged surrounding countryside, this is a serious alternative to the Tuscan standards. A car would realistically be required to access the main tourist spots. This can be delivered to and collected from the resort. You might also consider nearby sister properties. Masseria Cimino, a guest house in what was an old farmhouse with tower dating back to the 18th century, is ideal for a quiet, romantic stay. 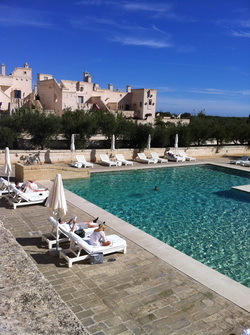 Alternatively, Masseria San Domenico is a historic building dating back five hundred years. Located on the shore, this is a more refined choice in a classical style, suitable for more mature clients, with a no children policy. Puglia can best be enjoyed in the spring and autumn, where due to the more Southern location warm days can be enjoyed through until the end of October. Enhance the below slide show with some music. Click the sound bite above. 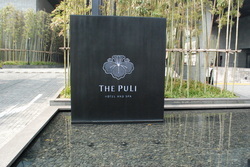 The Puli is an oasis of serenity in a very active and exciting city. Situated on Jing'An Park, it has the benefit of a central location away from the hustle and bustle of the Bund where most of its rivals sit. This means you can have a relaxing walk in the park beneath the hotel without being bothered by street hustlers, and enjoy a more peaceful, traditional part of the metropolis. The hotel has a very contemporary Asian style and is particularly popular with Japanese clients. Rooms and suites are fully equipped with state of the art technology, complimentary soft drink mini bar and a strong wi fi connection. 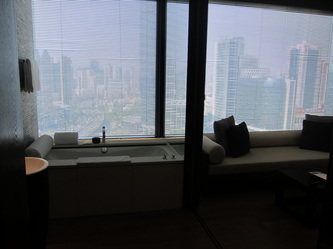 A unique bathtub has a window location so you can bathe whilst looking out over the City (or watching TV) with a glass of wine at hand. Lead in room category (de luxe) boasts a generous 45 square meters of space, a de luxe suite offers 85 meters and a closed off bedroom space, so you can relax whilst your partner goes to bed. 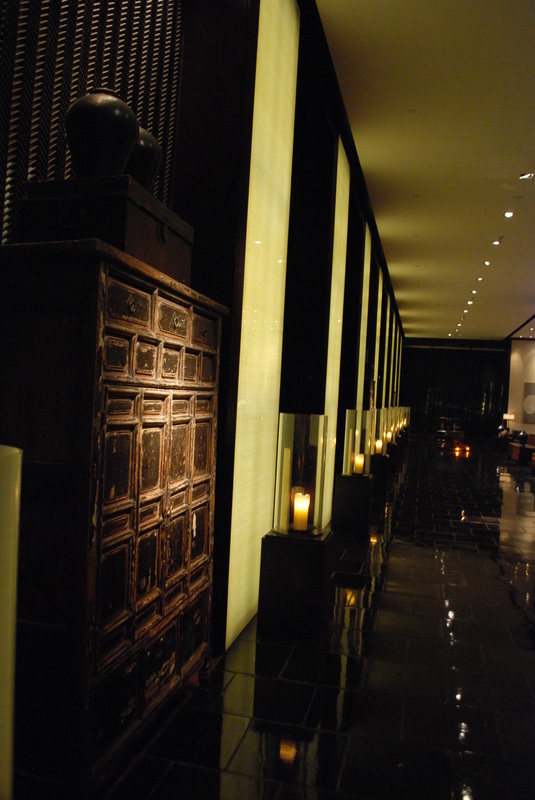 The Puli Spa (by Anantara) offers five private treatment suites with steam and shower rooms. Also provided for guest comfort is a state of the art gymnasium, sauna, steam room and jacuzzi pool. In the evening, the Jing’An Restaurant is well regarded and offers a la carte and a more competitive fixed price menu. 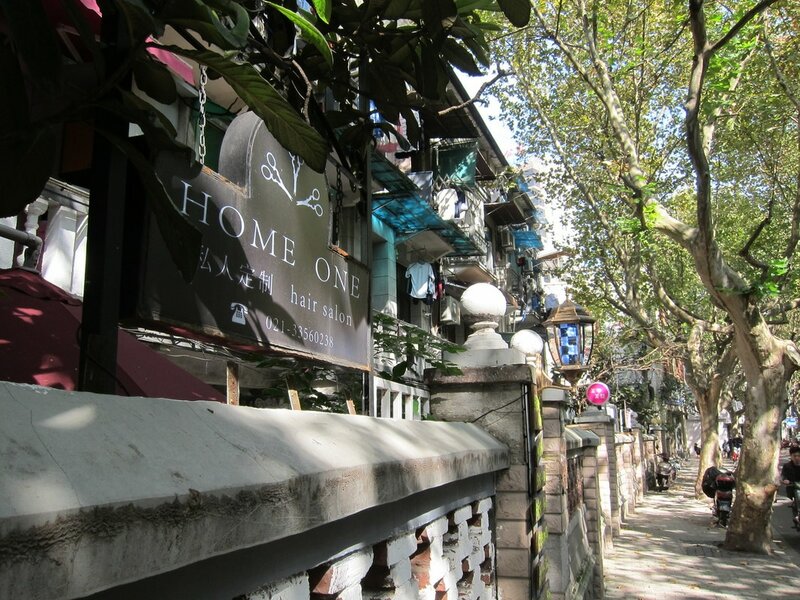 For an alternative, there is a good value Balinese venue five minutes away in the park, or an excursion into the French Concession, a 15 minute walk or one stop on the subway, makes for an entertaining night out with plenty of eating and drinking choices. The evening finishes at the Puli’s Long Bar, one of Shanghai’s longest, where good value cocktails, wine and champagne are offered. Summer Lodge is perhaps a bit of a misnomer; it really is a lovely retreat in Winter. What could be better than a vigorous country walk on a cold clear day, returning to this fine country house in the twilight, for dinner in its award-winning restaurant. It’s located in the small village of Evershot, between Yeovil and Dorchester, approximately two hours from London. The front of the principal building opens onto the main village street, giving a strong community feel. Part of the original building was designed by Thomas Hardy, who worked as an architect prior to his writing career. Evershot indeed features in his later writing, along with the village local, The Acorn Inn, just two minutes from the Hotel. The main house itself is quite small and intimate, with the front door opening into the bar, behind which are the restaurant and conservatory. The Courtyard House, within the gardens, provides further accommodation, and for more privacy Summer Lodge also own a number of properties in the main village street, which can be rented as a full-sized home from home. Business and meetings can be catered for in the Courtyard House, which can also be exclusively hired for groups, offering a high level of security and privacy for VIP guests. Children are most welcome, and a wide variety of activities is available locally, such as pony treks, karting and a deer park to explore. Canine friends are also welcome; dog beds are prepared and they even have their own exclusive menu. For the adults, activities are imaginative and varied, from mushroom picking to clay shooting, guided walks or attending the nearby cookery school. Dining is very special, and you can choose from the set course, a la carte or tasting menu. Food is sourced locally as are most of the cheeses on the spectacular, award-winning cheese board (miss at your peril). This was in fact one of the finest meals we have ever enjoyed, served by friendly and knowledgeable staff, for whom nothing was too much trouble. 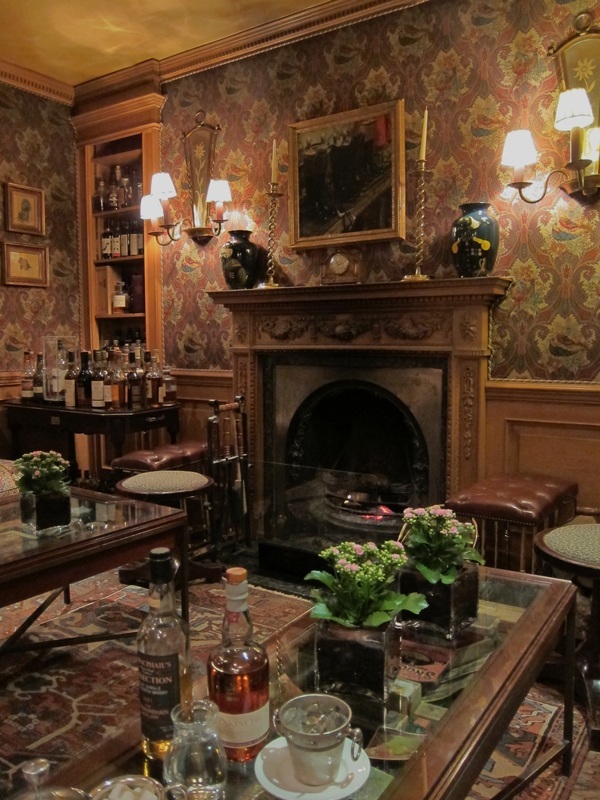 The wine list is very extensive, and after dinner the bar has an exceptional collection of 230 whiskeys, perfect for a fireside nightcap. The hotel has a small spa, gym, sauna and swimming pool in a separate annex.